Lonka, K. (2018). Phenomenal Learning from Finland. Edita Publishing. European Parliament (Ed.). 2015. Innovative Schools: Teaching & Learning in the Digital Era – Workshop Documentation. Brussels: European Parliament. Lonka, K. (2015) Oivaltava oppiminen. Otava. Hari, R., Järvinen, J., Lehtonen, J., Lonka, K., Peräkylä, A., Pyysiäinen, I., Salenius, S., Sams, M. & Ylikoski, P. (2015). Ihmisen mieli. (Human mind) Gaudeamus. Hietajärvi, L., Salmela-Aro, K., Tuominen, H., Hakkarainen, K., & Lonka, K. (2019). Beyond Screen Time: Multidimensionality of Socio-Digital Participation and Relations to Academic Well-Being in Three Educational Phases. Computers in Human Behavior, 93, 13-24. Lonka, K. M., Ketonen, E. E. H., Vekkaila, J., Lara, M. C., & Pyhältö, K. M. (2019). Doctoral students’ epistemic beliefs about writing, experienced well-being, and perceptions of their academic environment. Higher Education, 77(4), 587-602. Ketonen, E. E., Malmberg, L-E., Salmela-Aro, K., Muukkonen, H., Tuominen, H., & Lonka, K. (2019). The role of study engagement in university students’ daily experiences: A multilevel test of moderation. Learning and Individual Differences, 69, 196-205. Talvio, K. M., & Lonka, K. M. (Accepted/In press). How to create a flourishing classroom? An intervention protocol for enhancing teachers’ social and emotional learning. In Positive Psychological Intervention Design and Protocols for Multi-cultural Contexts Zurich: Springer. Maksniemi, E., Hietajärvi, L., Lonka, K., Marttinen, E., & Salmela-Aro, K. (2018). Sosiodigitaalisen osallistumisen, unenlaadun ja kouluhyvinvoinnin väliset yhteydet kuudesluokkalaisilla. Psykologia, 53(2-3), 180-200. Moisala, M., Salmela, V., Carlson, S., Salmela-Aro, K., Lonka, K., Hakkarainen, K., & Alho, K. (2018). Neural activity patterns between different executive tasks are more similar in adulthood than in adolescence. Brain and Behavior, 8(9). Varonen, A., Tuominen, H., Hietajärvi, L., Salmela-Aro, K., Hakkarainen, K., & Lonka, K. (2018). Tavoiteorientaatiot, koulutustavoitteet ja koulumenestys kuudennella luokalla. Psykologia, 53(2-3), 131-151. Cerrato-Lara, M., Castelló, M., García-Velázquez, R., & Lonka, K. (2017). Validation of the Writing Process Questionnaire in Two Hispanic Populations: Spain and Mexico. Journal of Writing Research, 9(2), 151-172. Sandström, N., Eriksson, R., Lonka, K. & Nenonen, S. (in press). Usability and affordances for inquiry-based learning in a blended learning environment. Facilities. Lonka, K., Pyhältö, K., & Lipponen, L. (2016). Lära genom att forska. Teoksessa S. Lindblom-Ylänne, A. Nevgi, B. Lindfors, M. Londen, E. Löfström, & Å. Mickwitz (Toimittajat), Handbok i universitetspedagogik Helsingfors: Universitetspedagogiska forsknings- och utvecklingsenheten. Nevgi, A., Lonka, K., & Lindblom-Ylänne, S. (2016). Aktiverande föreläsningsundervisning. Teoksessa S. Lindblom-Ylänne, A. Nevgi, B. Lindfors, M. Londen, E. Löfström, & Å. MIckwitz (Toimittajat), Handbok i universitetspedagogik (Sivut 243-259). Helsingfors: Universitetspedagogiska forsknings- och utvecklingsenheten. Joustavat oppimisen tilat -työryhmä (Aalto yliopisto, Helsingin yliopisto & Espoon kaupunki), Nenonen, S., Airo, K., Suominen, J., Vladykina, N., Lonka, K., … Riihimäki, T. (2016). Ohjeita käyttäjälähtöiseen oppimisympäristön kehittämiseen: Joustavat oppimisen tilat -kehityshankkeen tuloksia. Espoo: Espoon kaupunki. Numminen, A., Lonka, K., Rainio, A. P. & Ruismäki, H. (2015). ‘Singing is no longer forbidden to me – it’s like part of my human dignity has been restored.’ Adult non-singers learning to sing: An explorative intervention study. The European Journal of Social & Behavioural Sciences . 12, 1, 1660-1674. Nurttila, S., Ketonen, E. & Lonka, K. (2015). Sense of competence and optimism as resources to promote academic engagement. Social and Behavioral Sciences, 171, 1017-1026. Lonka, K. (2015) Mind the Gap – between digital natives and educational practices. An invited keynote in ICEEPSY2016 Conference, Istanbul, Turkey, October 13, 2015. Lonka, K. (2015) E-learning is out – what is in, then? An invited keynote in Caperio satellite meeting of BETT2015 for Swedish delegates, January 23, 2015, Cumberland hotel, London, England. Lonka, K. (2015) Invited lecture: PhD. students’ conceptions of academic writing – what can quantitative analyses reveal? Presented in Quant Hub seminar, January 19, 2015, Faculty of Education, University of Oxford, England. Lonka, K., Ketonen, E., Vekkaila, J., Sandström, N. & Pyhältö, K. (2015). PhD students’ writing profiles, experienced well-being and perceptions of the learning environment. A paper presented in EARLI Biennale2015, Limassol, Cyprus. Hietajärvi, L., Tuominen-Soini, H., Hakkarainen, K., Salmela-Aro, K. & Lonka, K. (2015). High school students’ socio-digital participation and gender, motivation and well-being differences – A person-oriented approach. A paper presented in EARLI Biennale2015, Limassol, Cyprus. Ketonen, E., Dietrich, J., Salmela-Aro, K. & Lonka, K. (2015). Self-determined goal pursuit and emotional experience: An experience sampling approach. A paper presented in EARLI B2015, Limassol, Cyprus. Talvio, M., Marttinen, K., Ketonen, E. & Lonka, K. (accepted, 2015). Do managers benefit from training on well-being and social interaction skills? – Transforming leadership skills by applying blended learning. A paper to be presented in ENSEC2015 Conference, Lissabon, Portugal. Talvio, M., Lonka, K., & Lintunen, T. (2015) Do Teachers Benefit from Training on Social Interaction Skills? A paper to be presented in EARLI2015 SYMPOSIUM: The impact of different models of professional development on teacher learning Organised by: Vermunt, J. & Vrikki, M, University of Cambridge. Hari, R., Järvinen, J., Lehtonen, J., Lonka, K., Peräkylä, A., Pyysiäinen, I., Salenius, S., Sams, M. & Ylikoski, P. (2015). Ihmisen mieli. Gaudeamus. Lonka, K. (2015). Oivaltava oppiminen. Otava. Hakkarainen, K., Hietajärvi, L., Alho, K., Lonka, K., & Salmela-Aro, K. (in press, 2015). What engages digital natives. In J. Eccles, J. & Salmela-Aro, K. (Eds.). International Encyclopedia of the Social & Behavioral Sciences. Elsevier. Lonka, K., Hietajärvi, L., Hohti, R., Nuorteva, M., Rainio, A.P., Sandström, N., Vaara, L., & Westling, S.K. (2015). Ilmiölähtöisesti kohti innostavaa oppimista. In Cantell, H. (Ed.) Monialainen oppiminen. PS-kustannus, 49–72. Lonka, K., Vaara, L. & Sandström, N. (2015). Promoting meaningful learning and knowledge creation – design principles for future schools and universities. Juvenes Print. Dhir, Amandeep (2015). On the Nature of Internet Addiction : What is it and how is it measured? University of Helsinki, Faculty of Behavioural Sciences, Department of Teacher Education. Hakkarainen, K. P., Wires, S., Keskinen, J., Paavola, S., Pohjola, P., Lonka, K., & Pyhältö, K. (2014). On personal and collective dimensions of agency in doctoral training: medicine and natural science programs. Studies in Continuing Education, 36(1), 83-100. Hietajärvi, L., Nuorteva, M., Tuominen-Soini, H., Hakkarainen, K., Salmela-Aro, K., Lonka, K. (2014). Kuudesluokkalaisten sosiodigitaalinen osallistuminen, kiinnostuksen kohteet ja kouluhyvinvointi. Kasvatus[The Finnish Journal of Education], 45, 429–443. Litmanen, T., Loyens, S. M. M., Sjöblom, K. & Lonka, K. (2014) Medical students’ perceptions of their learning environment, well-being, and academic self-concept. Creative Education, 5, 1856-1868. Lonka, K., Chow, A. Keskinen, J., Hakkarainen, K. Sandström, N.. & Pyhältö, K. (2014). How to measure PhD students’ conceptions of academic writing – and are they related to well-being? Journal of Writing Research, 5(3), 245-269. Sandström, N., Ketonen, E. & Lonka, K. (2014). The Experience of Laboratory Learning – How Do Chemistry Students Perceive Their Learning Environment? The European Journal of Social & Behavioural Sciences, 11(4), 1612–1625. Talvio, M., Lonka, K., Komulainen, E., Kuusela, M., and Lintunen, T. (2014). The development of teachers’ responses to challenging situations during interactions training. Teacher Development, 1-19. Vedenpää, I. & Lonka, K. (2014) Teachers’ and teachers students’ conceptions of learning and creativity. Creative Education, 5, 1821-1833. Vekkaila, J., Pyhältö, K., & Lonka, K. (2014). Engaging and disengaging doctoral experiences in the behavioural sciences. International Journal for Researcher Development, 5(1), 33–55. Talvio, M., Ketonen, E., and Lonka, K (2014). Proceedings from International Conference on Advanced Education and Management ‘14 (ICAEM2014): How long lasting are the effects of training on interaction skills? Teachers’ sample. (pp. 125–131). Ketonen, E., Talvio, M. & Lonka, K. (2014). Proceedings from International Conference on Advanced Education and Management ‘14 (ICAEM2014): Engaging Learning Environment (ELE) for Leadership Training: Fostering Interest and Epistemic Change. (pp. 104-111). Hietajärvi, L., Tuominen-Soini, H., Hakkarainen, K., Lonka, K., Makkonen, J & Salmela-Aro, K. (2014). Profiles of socio-digital participation among 6th graders and their associations to schoolwork engagement and school burnout. Presented at International Conference on Motivation, June 2014 in Helsinki. 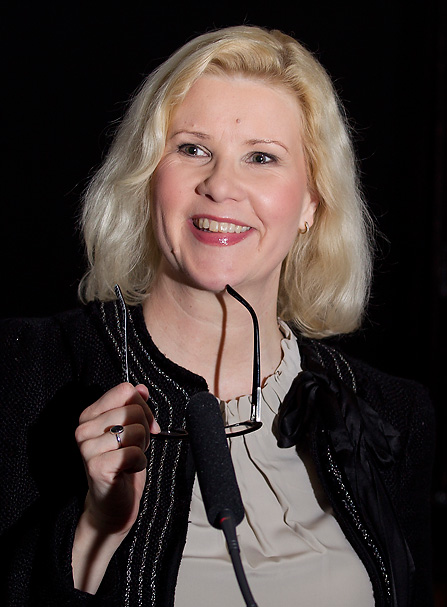 Ketonen, E., Haarala-Muhonen, A., Hirsto, L., Hänninen, J., Keltikangas, K., Wähälä, K., & Lonka, K. (2014). Novice university students’ motivational study profiles: A person-centered approach. Paper presented at Earli SIG 8 International Conference on Motivation, Helsinki, Finland, 12.06.2014-14.06.2014. Ketonen, E., Sandström, N. & Lonka, K. (2014). University students’ epistemologies: How are they related to mental models of learning?. Paper presented at Earli SIG 4 & SIG 17 conference, Leuven, Belgium, 20.-22.8.2014. Ketonen, E., Sandström, N., Vekkaila, J., Pyhältö, K., & Lonka, K. (2014). PhD candidates conceptions of writing and their relation to experiences of scholarly community – a person centered approach. Presented in Finland – Spain Symposium: Research Seminar on PhD development, identity and well-being. Spain, Barcelona, Catalunia on Doctoral Education. 26.9.2014. Ketonen, E., Talvio, M. & Lonka, K. (2014). Engaging Learning Environment (ELE) for Leadership Training: Fostering Interest and Epistemic Change. (Keynote). ICAEM International Conference on Advanced Education and Management, Peking, China, 04.01.2014-05.01.2014. Mälkki, K., Sjöblom, K. & Lonka, K. (2014). Transformation of the Physical Space and Transformation of the Subject. Paper presented at The XI International Transformative Learning Conference 2014 – Spaces of Transformation and transformation of Space, New York City, USA, 26.10.2014. Nurttila, S., Ketonen, E. & Lonka, K. (2014). Sense of competence and optimism as resources to promote academic engagement. Paper presented at the International Conference on Education and Educational Psychology, Kyrenia, Cyprus, 23.10.2014-25.10.2014. Sandström, N, Ketonen, E. & Lonka, K. (2014). How do university students’ epistemologies guide their perceptions of the learning environment? – Triangulating latent profile analyses with interviews. Paper presented at Earli SIG 4 & SIG 17 conference, Leuven, Belgium, 20.-22.8.2014. Sjöblom, K., Mälkki, K., Sandström, N. & Lonka, K. (2014). Psychological needs and physical space: learning in chemistry laboratory. Poster presented at Earli SIG 8 International Conference on Motivation, Helsinki, Finland, 13.06.2014. Lonka, K. (2014). Keynote: How to engage university students? Developing new learning solutions for the future. In Oppimisseikkailu, 4.3.2014, Helsinki, Finland. Lonka, K. (2014). Chairing the ICEEPSY2014 Conference, Kyrenia, Cyprus, October 23-25, 2014. Lonka, K., Chair of the Local Organizing Committee. (2014) Passion to Learn. ICM2014 International Conference on Motivation. Opening words. June 12, Helsinki, Finland. Lonka, K. (2014) Teacher of the ICM2014 Summer School, June 9-11, 2012 Siikaranta, Finland. Lonka, K. (2014) Keynote: How to Engage the Learner? – new developments in educational psychology. ICEEPSY2014 Conference, Kyrenia, Cyprus, 23.-25.10.2014. Lonka, K. (2014). Member of Finnish Delegation (10 persons). Presentation “Bridging the gap between educational practices and digital natives” – where present: Prime ministers of Finland and Norway, Minister of Education from Denmark, Facilitator Kati Tiainen, Microsoft. 6.-7.11.2014, Northern Future Forum 2014. Lonka, K. (2014). Keynote: Tulevaisuuden työ? 14.11.2014, ELY-keskus, Hämeenlinna, Finland. Vekkaila, J. (2014). Doctoral student engagement: The dynamic interplay between students and scholarly communities. Supervisors: Kirsi Pyhältö and Kirsti Lonka. Eximia. Talvio, M. (2014). How do teachers benefit from training on social interaction skills? Developing and utilizing an instrument for evaluating teachers’ social and emotional learning. Supervisors: Kirsti Lonka and Taru Lintunen. Eximia. Vekkaila (o.s. Tuomainen), J., Pyhältö, K. & Lonka, K. (2014). Engaging and disengaging doctoral experiences in the behavioural sciences. International Journal for Researcher Development, 5, 1, 33-55. Talvio, M., Ketonen, E. & Lonka, K. (2014). How Long Lasting are the Effects of Training on Interaction Skills? Teachers’ Sample, 125-131. Lonka, K., Chow, A., Keskinen, J., Hakkarainen, K., Sandström, N. & Pyhältö, K. (2014). How to measure PhD. students’ conceptions of academic writing – and are they related to well-being? Journal of Writing Research, 5(3), 245-269. Hakkarainen, K. P., Wires, S., Keskinen, J., Paavola, S., Pohjola, P., Lonka, K. & Pyhältö, K. (2014). On personal and collective dimensions of agency in doctoral training: medicine and natural science programs. Studies in Continuing Education, 36(1), 83-100. Talvio, M., Lonka, K., Komulainen, E., Kuusela, M. & Lintunen, T. (2014). The development of teachers’ responses to challenging situations during interaction training. Teacher Development. In press. Talvio, M., Lonka, K., Komulainen, E., Kuusela, M. & Lintunen, T. (2013). Revisiting Gordon’s Teacher Effectiveness Training: An Intervention Study on Teachers’ Social and Emotional Learning. Electronic Journal of Research in Educational Psychology, 11(3), 693-716. Talvio, M. & Lonka, K. (2013). International variation in perceiving goals of a youth development programme (Lions Quest). The European Journal of Social & Behavioural Sciences, 6(3), 1057-1065. Sandström, N., Sjöblom, K., Mälkki, K. & Lonka, K. (2013). The role of physical, social and mental space in chemistry students’ learning. The European Journal of Social & Behavioural Sciences, 6, 1134-1139. Vekkaila (o.s. Tuomainen), J., Pyhältö, K. & Lonka, K. (2013). Experiences of Disengagement – A Study of Doctoral Students in the Behavioral Sciences. International Journal of Doctoral Studies, 8, 61-81. Vekkaila (o.s. Tuomainen), J., Pyhältö, K. & Lonka, K. (2013). Focusing on doctoral students’ experiences of engagement in thesis work. Frontline Learning Research, 1(2), 10-32. Inkinen, M., Lonka, K., Hakkarainen, K., Muukkonen, H., Litmanen, T. & Salmela-Aro, K. (2013). The Interface between Core Affects and the Challenge-Skill Relationship. Journal of Happiness Studies, 15(4), 891-913. Ketonen, E. & Lonka, K. (2013). How are situational academic emotions related to teacher students’ general learning profiles? In Tirri, K. & Kuusisto, E. (Eds. ), Interaction in Educational Domains (pp. 103-114). Rotterdam: Sense Publishers. Lonka, K. (2013) Pääluku: “Ahdistuksesta intohimoon”. Yliopisto: Helsingin yliopiston tiedelehti. 61(9), 4. Lonka, K. (2012). Pääluku: “Paras tapa ennustaa”. Yliopisto: Helsingin yliopiston tiedelehti, 59(12), 4. Lonka, K. (2012). Tulevaisuuden tiennäyttäjät: Menestyminen: Kolme nuorta lupausta kertoo, miten he aikovat saavuttaa kunnianhimoiset tavoitteensa. Etelä-Suomen sanomat.10.11.2012, 13. Lonka, K. & Wähälä, K. (2012). Designing new teaching and learning environments. Lyon: European Chemistry and Chemical Engineering Education Network, EC2E2N Newsletter, 13(5). Lonka, K. (2012). Engaging Learning Environments for the Future: The 2012 Elizabeth W. Stone Lecture. In Gwyer, R., Stubbings, R. & Walton , G. (Eds. ), The road to information literacy: Librarians as facilitators of learning: IFLA Publications Series 157 (pp. 15-30). Berlin/Munich: De Gruyter Saur. Lonka, K. & Ketonen, E. (2012). How to make a lecture course an engaging learning experience? Studies for the learning society, 2(2-3), 63-74. Litmanen, T., Lonka, K., Inkinen, M., Lipponen, L. & Hakkarainen, K. (2012). Capturing teacher students’ emotional experiences in context: Does inquiry-based learning make a difference? Instructional Science, 40(6), 1083-1101. Pyhältö, K., Toom, A., Stubb, J. & Lonka, K. (2012). Challenges of Becoming a Scholar: A Study of Doctoral Students’ Problems and Well-Being. ISRN Education 2012, Article ID 934941, 1-12. Stubb, J., Pyhältö, K. & Lonka, K. (2012). Conceptions of research: the doctoral student experience in three domains. Studies in Higher Education 2012, 1-14. Ketonen, E. & Lonka, K. (2012). Do situational academic emotions predict academic outcomes in a lecture course? Procedia: Social and Behavioral Sciences, 69, 1901-1910. Vekkaila (o.s. Tuomainen), J., Pyhältö, K., Hakkarainen, K., Keskinen, J. & Lonka, K. (2012). Doctoral students’ key learning experiences in natural science. International Journal for Researcher Development, 3(2), 154-183. Heikkilä, A., Lonka, K., Nieminen, J. & Niemivirta, M. (2012). Relations between teacher students’ approaches to learning, cognitive and attributional strategies, well-being, and study success. Higher Education, 64(4), 455-471. Stubb, J., Pyhältö, K. & Lonka, K. (2012). The Experienced Meaning of Working with a PhD Thesis. Scandinavian Journal of Educational Research. 56(4), 439-456. Talvio, M., Lonka, K., Komulainen, E., Kuusela, M. & Lintunen, T. (2012) The development of the Dealing with Challenging Interaction (DCI) method to evaluate teachers’ social interaction skills. Procedia: Social and Behavioral Sciences, 69, 621-630. Pyhältö, K., Nummenmaa, A. R., Soini, T., Stubb, J. & Lonka, K. (2012). Research on scholarly communities and the development of scholarly identity in Finnish doctoral education. In Ahola, S. & Hoffman, D. M. (Eds.) Higher Education research in Finland: Emerging structures and contemporary issues (pp. 337-354). Jyväskylä: University of Jyväskylä. Heiskanen, H., Lonka, K., Ketonen, E., Korhonen, J. & Saarinen, E. (2012) Promoting study engagement on an innovative philosophy course. A paper presented at EARLI SIG 4 Higher education Conference, Tallinn, Estonia, August 14-17, 2012. (Among the five best papers of the conference). Ketonen, E. & Lonka, K. (2012, August) How are situational academic emotions related to general motivational orientations on a student-activating lecture course? A paper presented at EARLI SIG 4 Higher education Conference, Tallinn, Estonia, August 14-17, 2012. Ketonen, E. & Lonka, K. (2012, August) How are academic emotions related to learning outcomes in a lecture context? A poster presented in ICM2012 Conference, Frankfurt, August, 28-30, 2012. Lonka, K. & Ketonen, E. (2012, June) Engaging learning – How to activate teacher students on a lecture course? Research in Teaching and Teacher Education Conference: Teaching and Teacher Education in an Era of Accountability. EARLI SIG 11 Teaching and Teacher Education conference,. Bergen, Norway, June 13-15, 2012. Marttinen, M., Patala, T., Ketonen, E., Ruusunen, R., Lonka, K. (2012) Students’ and teachers’ perceptions of an innovative blended learning environment – case Porvoo campus. A paper presented at EDEN 2012 conference, Porto, Portugal, June 6-8, 2012. Talvio,M., Lonka, K., Komulainen, E., Kuusela, M., Lintunen, T. (2012) Improving Teachers’ Reactions to Challenging Interactions: An Intervention Study. A paper presented at EARLI SIG 11 Teaching and Teacher Education conference,. Bergen, Norway, June 13-15, 2012. Stubb, J., Pyhältö, K. & Lonka, K. (2011). Balancing between inspiration and exhaustion? : Ph.D. Students’ Experienced Socio-Psychological Well-Being. Studies in Continuing Education, 33(1), 33-50. Tolvanen, A., Kiuru, N., Leskinen, E., Hakkarainen, K., Inkinen, M., Lonka, K. & Salmela-Aro, K. (2011). A new approach for estimating a nonlinear growth component in multilevel modeling. International Journal of Behavioral Development, 35(4), 370-379. Heikkilä, A., Niemivirta, M., Nieminen, J. & Lonka, K. (2011). Interrelations among university students’ approaches to learning, regulation of learning, and cognitive and attributional strategies: a person oriented approach. Higher Education, 61(5), 513-529. Hylin, U., Lonka, K. & Ponzer, S. (2011). Students’ approaches to learning in clinical interprofessional context. Medical Teacher, 33(4), E204-E210. Tuomainen, J., Pyhältö, K., Hakkarainen, K., Stubb, J. & Lonka, K. (2011) The Academic Turning Points Experienced by Doctoral Students in Natural Sciences. In conference proceedings of fourth international conference entitled: “Academia as workplace: Linking past, present and future” University of Oxford, 4-6 April 2011. Lonka, K. (2011) How to foster academic writing in medical education? A workshop in CCME Conference 2011, May 7-11, Toronto, Ontario, Canada. Litmanen, T., Lonka, K., Loyens, S. (2011). Perceptions of the Learning Environment and Elements of Burnout Among Medical Students. Biennale Conference of European Association for Research on Learning and Instruction (EARLI). Exeter, UK. Nieminen, J., Heikkilä, A., Lonka, K., (2011). The many faces of deep approach – what are we really measuring? Biennale Conference of European Association for Research on Learning and Instruction (EARLI). Exeter, UK. Tuomainen, J., Pyhältö, K., Lonka, K. (2011). Coming to this community was a great moment in my life” – Critical experiences during PhD process. Biennale Conference of European Association for Research on Learning and Instruction (EARLI). Exeter, UK. Lonka, K. (2010). Tulevaisuuden koulu? Rexi, 2/2010, p. 28-30. Stubb, . J., Pyhältö, . K., Soini, . T., Nummenmaa, . A. R. & Lonka, . K. (2010). Osallisuus ja hyvinvointi tiedeyhteisössä – tohtoriopiskelijoiden kokemuksia. Aikuiskasvatus, 30(2), 106-119. Litmanen, T., Hirsto, L. & Lonka, K. (2010). Personal goals and academic achievement among theology students. Studies in Higher Education, 35(2), 195-208. Wilhelmsson, N., Dahlgren, L. O., Hult, H., Scheja, M., Lonka, K. & Josephson, A. (2010). The anatomy of learning anatomy. Advances in Health Sciences Education. 15(2), 153-165. Lonka, K., Hakkarainen, K., Salmela-Aro, K., Ferchen, M., Lautso, A. & Sauri, P. (2010). Psykologia! : Kurssi 5, Persoonallisuus, mielenterveys ja hyvinvointi. Helsinki: WSOYpro. Stubb, J., Pyhältö, K. & Lonka, K.: From random drifting to driving personal interest – what promotes motivation in the Ph.D. process? ICM2010 12th International Conference on Motivation. Porto, Portugal. 1.-4.9.2010. Lonka, K. & Litmanen, T.: Relations among well-being, commitment and satisfaction in Finnish medical schools. AMEE Conference 2010. GLASGOW, UK, Scottish Exhibition and Conference Centre (SECC). 7.9.2010. Lonka, K.: How to help doctoral students to finish their thesis (an invited workshop). St George´s College, London, England. 24.11.2010. Talvio, M., Lonka, K., & Lintunen, T.: Does interaction training help teachers in challenging interaction? Workshop on Publishing, Lonka: 5 tips on How to survive… the reviews? Tips on how to read, interpret, and make use of the reviewer comments. Masiello, I., Lonka, K., Nikkola, M. and Hirschfeld, H. (2009). The Effectiveness of Educational Applications: Two Small Empirical Investigations, The Open Medical Education Journal,2, 10-15. Shirazi, M., Parikh, S.V, Alaeddini, F., Lonka, K., Zeinaloo AA, Sadeghi, M., Arbabi, M., Nejatisafa, AA., Shahrivar, Z., Wahlström, R. (2009). Effects on Knowledge and Attitudes of Using Stages of Change to Train General Practitioners on Management of Depression: A Randomized Controlled Study. The Canadian Journal of Psychiatry, 54(10), 693-700. Stubb, J. K., Pyhältö, K. M. & Lonka, K. (2009). Academic climate through Ph.D students’ eye – Balancing between inspiration and exhaustion. Pyhältö, K., Stubb, J. & Lonka, K. (2009). Developing scholarly communities as learning environments for doctoral students. International Journal for Academic Development, 14(3), 221-232. Shirazi, M., Parikh, S. V., Alaeddini, F., Lonka, K., Zeinaloo, A. A., Sadeghi, M., Arbabi, M., Nejatisafa, A. A., Shahrivar, Z. & Wahlström, R. (2009). Effects on knowledge and attitudes of using stages of change to train general practitioners on management of depression: a randomized controlled study. Canadian Journal of Psychiatry, 54(10), 693-700. Lonka, K. (2009) Smart doctors and the three metaphors of learning. Medical Education. 43, 8, p. 718-720, 3 p.
Numminen, A., Erkkilä, J., Huotilainen, M. & Lonka, K. (2009) Musiikki hyvinvoinnin evoluutiossa: aivot, mieli ja yhteisö. Tieteessä tapahtuu. 27, 6, p. 10-15. Lonka, K., Hakkarainen, K., Salmela-Aro, K., Ferchen, M. & Lautso, A. (2009). Psykologia! : Kurssi 4: motivaatio, tunteet ja älykäs toiminta. Helsinki: WSOY Oppimateriaalit. Nevgi, A., Lonka, K. & Lindblom-Ylänne, S. (2009). Aktivoiva luento-opetus. Teoksessa Lindblom-Ylänne, S. & Nevgi, A. (Eds.) Yliopisto-opettajan käsikirja (pp. 237-253). Helsinki: WSOYpro. Lonka, K., Pyhältö, K. & Lipponen, L. (2009). Tutkimalla oppimassa – tutkiva oppiminen yliopistossa. Teoksessa Lindblom-Ylänne, S. & Nevgi, A. (Eds.) Yliopisto-opettajan käsikirja (pp. 254-261.). Helsinki: WSOYpro. Lonka, K. Salmela-Aro, K., Tolvanen, A., Kiuru, N. Inkinen, M., Hakkarainen, K. (2009). When University Students´ Exsperience Flow? Fostering Communities of Learners 13th Biennal Conference for Research on Learning and Instructions (EARLI). Amsterdam, The Netherlands. August 24-29, 2009. Lonka, K., van Lohuizen, M., Kuks, J., Borleffs, J., Cohen-Schotanus, J. The relation between medical students’ stress, self-regulation and reflection 31 August, 2009. AMEE Conference 2009. Palacio de Ferias y Congresos de Malaga, Malaga, Spain. Lonka, K., Shirazi, M., Keshavarz, H., Parikh, S., Alaeddini, F., Wahlstrom, R. Turning understanding into clinical practice. 31 August, 2009. AMEE Conference 2009. Palacio de Ferias y Congresos de Malaga, Malaga, Spain. Lonka, K., Nieminen, J., Heikkilä, A., Lindblom-Ylänne, S. Two aspects of a deep approach: understanding and critical evaluation – what is valued by medical students? 1 September, 2009. AMEE Conference 2009. Palacio de Ferias y Congresos de Malaga, Malaga, Spain. Lonka, K., Nieminen, J., Kojonen, K, Hyppölä, H.Are students in problem-based schools more exhausted? 1 September, 2009. AMEE Conference 2009. Palacio de Ferias y Congresos de Malaga, Malaga, Spain. Lonka, K., Sharafi, P., Karlgren, K., Masiello I., Nieminen, J., Birgegård, G., & Josephson, A. (2008). Development of MED NORD – A tool for measuring medical students’ well-being and study orientations. Medical Teacher, 30, 72-79. Bolander Laksov, K., Lonka K., & Nikkola, M. (2008). Does Teacher Thinking Match Teacher Practice? – a study of basic-science teachers. Medical Education, 42, 143-151. Lauffs, M., Ponzer, M., Saboonchi, F., Lonka, K., Hylin, U. , Mattiasson, A.-C (2008). Cross-cultural Adaptation of the Swedish Version of Readiness for Interprofessional Learning Scale (RIPLS). Medical Education, 42, 405-411. Shirazi, M., Zeinaloo A.A., Parikhd, S.V., Sadeghie, M., Taghvaf, A., Arbabie, M., Sabouri Kashanib, A., Alaeddini, F., ,Lonka, K, & Wahlstrom R. (2008). Effects on readiness to change of an educational intervention on depressive disorders for general physicians in primary care based on a modified Prochaska model—a randomized controlled study. Family Medicine, 7, 1-7. Tynjälä, P., Slotte, V., Nieminen, J., Lonka, K. & Olkinuora, E. (2008). From university to working life: Graduates’ workplace skills in practice In P. Tynjälä, J. Välimaa and G. Boulton-Lewis (Eds.) Advances in Learning and Instructions, Higher Education and Working Life: Collaborations, Confrontations and Challenges (pp. 77-88). Elsevier Ltd.
Lonka, K. (2008). Kasvatuspsykologia sillanrakentajana. Teoksessa P. Siljander & A. Kivelä (toim.) Kasvatustieteen tila ja tutkimuskäytännöt. Paradigmat katosivat, mitä jäljellä? Kasvatusalan tutkimuksia 38 (pp. 345 – 356). Turku: Suomen Kasvatustieteellinen Seura. Muukkonen, H., Hakkarainen, K., Inkinen, M., Lonka, K., & Salmela-Aro, K. (2008). CASS-methods and tools for investigating higher education knowledge practices. In G. Kanselaar, J. van Merriënboer, P. Kirschner, & T. de Jong, (Eds. ), International Perspectives in the Learning Sciences: Creating a Learning World, Proceedings of the Eight International Conference for the Learning Sciences, vol. 3. Utrecht, The Netherlands: ICLS. Pyhältö, K., Stubb, J. & Lonka, K. (2008). From Ph.D. student to professional researcher – scholarly community as a learning environment for doctoral studies. Paper presented at Preparing for Academic Practice. 2nd International Conference on Preparation of doctoral students and post docs, April 8-9, in Oxford, United Kingdom. Pyhältö, K., Soini, T., Lonka, K. Stubb, J., Nummenmaa, A. R. & Soini, H. (2008). Doctoral students’ perceptions about their learning environment and their experienced stress. Paper presented at biannual EARLI SIG Higher Education conference, May 15-16, in London, United Kingdom. Lonka, K., Stubb, J. & Pyhältö, K. (2008) Writing and motivation in the Ph.D. process. Paper presented at 11th Conference on Motivation, August 20-23, in Turku, Finland. Stubb, J., Pyhältö, K., Lonka, K., Soini, T., Nummenmaa, A. R. & Soini, H. (2008) ”YKSINÄINEN, HUOMAAMATON AHERTAJA?” Hyvinvointi väitöskirjaprosessissa. [Lonely and unnoticeable labourer? Well-being in Ph.D. process] Paper presented at Korkeakoulututkimuksen 30-vuotis juhlasymposium [30th Anniversary celebration symposia for Research on Higher Education], August, 25–26 in Jyväskylä, Finland. Lonka, K., Hagelin, A., Nieminen, J., Masiello, I., Karlgren, K., Josephson, A., Birgegård, G. & Hyppölä, H. (2008) MED NORD –well-being and study orientations of Swedish and Finnish medical students. A confirmatory study. 30 August- 3 September, 2008. Prague, Czech Republic. Kramer, F. & Lonka, K. (2008) Educating conscious academics and responsible writers. A workshop in RUG Onderwijsconferentie 2008, February 6, 2008. University of Groningen, The Netherlands. Litmanen, T. & Lonka, K. (2008): Contextual Motivation in Inquiry-Based Learning. Paper presented at JURE-conference Leuven, Belgium, 08.07-11.07.2008. Lonka, K. (2008) From Ph.D. students to professional researchers: the question of academic writing. An invited lecture in LANSPAN (Language and Literacy Development across the Life Span) Colloquium, February 6, 2008, Faculty of Arts, University of Groningen, The Netherlands. Lonka, K., Lipponen, L. & Litmanen, T. Yhteisöllinen tiedonrakentelu kasvatuspsykologian opinnoissa. Ainedidaktiikan päivät. Ainedidaktiikan symposium 8.2.2008. Helsinki, Suomi. Pyhältö, K., Lonka, K. & Stubb, J. From PhD. Student to professional researcher – the question of literate expertise. 2008. Preparing for Academic Practice. Disciplinary Perspectives: 2nd international conference on preparing doctoral research students and postdoctoral researchers for academic careers. 8-9 April 2008. Oxford, England. Lonka, K. Scaffolding – what is it? IKIT Summer School. 6 August, 2008. Toronto, Canada. Lonka, K. Innovative learning environments and student motivation. The Excellence in Pisa. The Miracle of PISA -Conference. 10-12 September, 2008. University of Helsinki, Palmenia Centre for Continuing Education. Helsinki, Finland. Lonka, K. Onko kasvatusoptimismille tieteellisiä perusteita? 19.9.2008. Esitelmä Luonnonfilosofian 20-vuotisjuhlaseminaarissa, Tieteiden Talo, Helsinki, Suomi. Lonka, K. Mitä opettajan olisi hyvä tietää aivojen kehityksestä? Kasvatustieteen päivät 27.-28.11.2008. Turku, Suomi. Litmanen, T. & Lonka, K. Tilannesidonnainen motivaatio yhteisöllisessä oppimisessa. Kasvatustieteen päivät 27.-28.11.2008. Turku, Suomi. Muukkonen, H., Hakkarainen, K., Inkinen, M., Lonka, K.& Salmela-Aro, K. CASS-methods and tools for investigating higher education knowledge practices. ICLS2008 conference, June 24-28, 2008 Utrecht, The Netherlands. Lonka, K. Writing process – emotions and cognition. 2008. Groningen, The Neatherlands. Lonka, K. How to promote meaningful learning, intrests and flow? 2008. University of Leeds, U.K.
Lonka, K. Why do we feel so stupid – constantly? Stupidity in Science. 8 December, 2008. Cbacci Workshop for Teachers, Helsinki, Finland. Raivio, K. Lonka, K., Sauli, M. & Bruun, O. Europe as knowledge society from an aspect of universities, students and civic society. 16 August, 2008. Panel discussion. Bright- Conference. Helsinki, Finland. Lonka, K., Plenary Chair. How do people learn? Association for Medical Education in Europe (AMEE) 30 August- 3 September, 2008. Prague, Czech Republic. Mäkinen, J., Petersson, G., Nurmi, R. & Lonka, K. (2007). Health Care Students’ Differing Conceptions of Expertise: A Challenge for Inter-Professional Care. Advances in Health Sciences Education, 12, 441–455. Helle, L., Tynjälä, P., Olkinuora, E. & Lonka, K. (2007). Ain’t nothing like the real thing. Motivation and study processes in university-level project studies. British Journal of Educational Psychology, 77, 397–411. Bolander Laksov, K., Lonka K., & Josephson, A. (2008). How do medical teachers address the problem of transfer? Advances in Health Sciences Education, 13(3), 345-360. Muukkonen, H., Hakkarainen, K., Jalonen, S., Kosonen, K., Heikkilä, A., Lonka, K., Inkinen, M., Salmela-Aro, K., Linnanen, J., & Salo, K. (2007). Process- and context-sensitive research on academic knowledge practices: Developing CASS-tools and methods. Proceedings of the Computer Supported Collaborative Learning Conference, Rutgers University, Jew Jersey, USA, July 16-21, 2007. Lonka, K. (2007) How to Enhance Productivity in Academic Writing. A workshop at the University of Groningen, The Netherlands. Lonka, K. (2007) Theories and research methods in medical education” A workshop. Summer School Groningen, Masterclass medisch onderwijs July 4, 2007, Groningen, The Netherlands. Lonka, K. (2007) “How writing shapes thinking and thinking shapes writing”. Workshop Kokouksen nimi Summer School Groningen, Masterclass medisch onderwijs July 5, 2007, Groningen, The Netherlands. Lonka, K. (2007) Personal mastery; how to handle stress and be well, motivation, flow and leadership” A workshop, Summer School Groningen, Masterclass medisch onderwijs July 6, 2007, Groningen, The Netherlands. Lonka, K. (2007) Miten mieli kehittyy ja oppii? (How the does the mind learn and develop?) Mieli-Forum I. Mielen rajoja etsimässä, An invited presentation, August 16, 2008, Majvik, Kirkkonummi, Finland. Pyhalto, K. & Lonka, K (2007) From PhD Students to professional researchers – the question of literate expertise. A paper presented at 12th Biennal Conference for Research on Learning and Instruction (EARLI), August 30, Budapest, Hungary. Lonka, K., Heikkilä, A. & Sappinen, S. (2007) Study orientations of student teachers. A paper presented at 12th Biennal Conference for Research on Learning and Instruction (EARLI), August 28, 2008, Budapest, Hungary. Lonka, K., Numminen, A., Rantanen, P. & Hakkarainen, K. (2007) Polytechnic students’ conceptions of learning and knowledge: how do they relate to the aims of education? A paper presented at 12th Biennal Conference for Research on Learning and Instruction (EARLI), August 31, 2008, Budapest, Hungary. Lonka, K. (2007) Learning is the secret of an intelligent organization. An invited lecture. Leadership Forum, September 21, 2007, Helsinki University of Technology, Espoo, Finland. Lonka, K. (2007) Concept maps and other representation tools from the perspective of educational psychology. An invited presentation. Seminar Käsitekartat ja CmapTools, uudenlainen opetus- ja oppimisympäristö University of Helsinki, Finland. Lipponen, L. & Lonka, K. (2007). Informaatiolukutaito paikallisena ja hajautettuna, tutkivan oppimisen toimintana. Teoksessa Nevgi, A. (Ed.) Informaatiolukutaito yliopisto-opetuksessa (pp. 81-93). Helsinki: Palmenia. (Palmenia-sarja; vol. 31). Heikkilä, A. & Lonka, K. (2006). Studying in higher education: students’ approaches to learning, self-regulation, and cognitive strategies. Studies in Higher Education, 31, 99-117. Nieminen, J., Sauri, P. & Lonka, K. (2006). On the relationship between group functioning and study success in PBL. Medical Education, 40, 64-71. Bolander K., Josephson A., Mann, S. & Lonka K. (2006). Teachers promoting expertise in medical education – understanding the role of the core curriculum. Quality in Higher Education, 12, 41-55. Wahlqvist, M., Skott, A., Bjorkelund, C., Dahlgren, G., Lonka, K, & Mattsson, B. (2006). Impact of medical students’ descriptive evaluations on long-term course development. BMC Medical Education, 6(24). Retrieved from http://www.biomedcentral.com/1472-6920/6/24. Lonka, K., Hakkarainen, K., Paavola, S. ja Wirtanen, S. (2006). Kollektiivinen luovuus – and all that jazz. Teoksessa: J. Husu & R. Jyrhämä (Eds.) Suoraa puhetta opetuksesta- kollegiaalisesti opetuksesta ja kasvatuksesta (pp. 139-158). Juva: PS-kustannus. Lonka, K. (2006). Tarinoita Suomesta, Ruotsista ja johtajuudesta. Teoksessa Seppo Penttinen, Reijo Karhinen & Matti Huomo (Eds.) Kasvun osaaja. Antti Tanskanen 60 vuotta 14.5.2006 (pp. 242 – 252). Jyväskylä: Osuuspankkikeskus Osk. 2006. Lonka, K. & Ylikoski, M. (2006) Lääkäreiden muuntokoulutuksen väliarviointi. Opetusministeriön selvityspyynnön 20.12.2005 perusteella. Päiväys: 31.3.2006 (Dnro 31/504/2005). Lonka, K., Hakkarainen, K., Ferchen, M. & Lautso, A. (2006). Psykologia! Ihmisen kasvu ja kehitys. Lukion psykologian kurssi 2. Helsinki: WSOY (Psykologi för gymnasieskolor 2). Lonka, H., Lonka, K., & Vartiainen, M. (2006) “A comparative study of two project Networks.” 3rd International Conference on Project Management (ProMAC2006). 27-29 September 2006, Sydney, Australia. Lonka, K., Sharafi, P. , Karlgren, K., Masiello,I., Nieminen, J. & Josephsson, A. (2006, September) Measuring medical students’ epistemologies, approaches to learning and their perception of their learning environment – piloting a new instrument. Short communication presented at AMEE Conference 2006, 14-18, September 2006, Genoa, Italy Applying a modified Prochaska’s model of readiness to change for general physicians on depressive disorders in CME programs: validation tool Mandana Shirazi*, Ali Akbar Zeinaloo*, Majid Sadeghi, Ahmad Sabouri Kashani, Mohammad Arbabi, Farshid Alaedini, Kirsti Lonka and Rolf Wahlstrom Short communication presented at AMEE Conference 2006, 14-18, September 2006, Genoa, Italy. Nieminen, J., Heikkilä, A., Karlgren, K., Masiello, I. & Lonka, K. (2006) Medical students’ study orientations Short communication presented at AMEE Conference 2006, 14-18, September 2006, Genoa, Italy. Short Communications Session Teaching and Learning 2 – Student learning. Opening Discussant: Kirsti Lonka (Finland) AMEE Conference 2006, 14-18, September 2006, Genoa, Italy. Lonka, K (2006) Progressive Inquiry – and the three metaphors of learning. An invited presentation in Symposium “Learning Theories in Medical Education” AMEE Conference 2006, 14-18, September 2006, Genoa, Italy. Karlgren, K., Sharafi, P. Masiello,I., Lonka, K., & Josephsson, A. (2006, September)Ideals and requirements in practice in medical students’ anatomy studies. Short communication presented at AMEE Conference 2006, 14-18, September 2006, Genoa, Italy. Heikkilä, A., Nieminen, J. & Lonka, K. (2006) Interrelations among approaches to learning, regulation of learning and cognitive strategies. A paper presented at The 10th International Conference on Motivation, September 28 – 30, 2006, Landau, Germany. Masiello I, Ramberg R, Lonka K. (2005). Learning in a web-based system in medical education. Medica l Teacher, 27(6), 561-3. Masiello, I., Ramberg, R. & Lonka, K. (2005). Attitudes to the application of a web-based learning system in a microbiology course. Computers and Education, 45(2), 171-269. Hakkarainen, K., Bollström-Huttunen, M., Pyysalo Riikka & Lonka, K. (2005). Tutkiva oppiminen käytännössä. Opettajan matkaopas. Helsinki: WSOY. Lonka, K., Hakkarainen, K., Ferchen, M. & Lautso, A. (2005). Psykologia! Psyykkinen toiminta, vuorovaikutus ja oppiminen. Lukion psykologian kurssi 1. Helsinki: WSOY. Heinonen, V., Kantoluoto, S., Lehtomäki, Lähdemäki, T., Paganus, J., Sandelin, M. & Lonka, K. (2005). Leijonaemojen tarinat. Juva: WSOY. Tynjälä, P., Slotte, V., Nieminen, J., Lonka, K. & Olkinuora, E. (2004). Yliopistosta valmistuneet työelämässä. (Alumnis in the working life.) Teoksessa: P. Tynjälä, J. Välimaa ja M. Murtonen (Eds. ), Korkeakoulutus, oppiminen ja työelämä . pp. 91-108. Jyväskylä PS-kustannus. Lonka, K. & Paganus, N. (2004). Ongelmalähtöinen oppiminen työelämään valmentajana (Problem-based learning coaches for the future). Teoksessa P. Tynjälä, J. Välimaa ja M. Murtonen (Eds. ), Korkeakoulutus, oppiminen ja työelämä . pp. 237-254. Jyväskylä PS-kustannus. Hakkarainen, K. & Lonka, K. (2005). Oppija enesejuhtimise soodustamine ja prosessipohine ope. In Oppimine ja opetamine avatud ulikoolis (pp. 83-89). Tartu Ulikooli Kirjastus. Hakkarainen, K. & Lonka, K. (2005). Probleemipohine oppimine. In Oppimine ja opetamine avatud ulikoolis (pp. 262-272). Tartu Ulikooli Kirjastus. Hakkarainen, K. & Lonka, K. (2005). Oppimise toistamise viise. In Oppimine ja opetamine avatud ulikoolis (pp. 262-272). Tartu Ulikooli Kirjastus. Tietoisuuden mysteeri (The Mystery of Consciousness). YLE National TV, 2005. Juha Nieminen, Sari Lindblom-Ylänne & Kirsti Lonka (2004). Students’ approaches to learning in pharmacy. A longitudinal study. Instructional Science, 32, 387-417. Mäkinen, J., Olkinuora, E., and Lonka, K. (2004). Students at risk: how to predict study problems in higher education? Students’ general study orientations and abandoning the course of the studies. Higher Education, 48(2), 173-188. Ponzer, S., Hylin, U., Kusoffsky, A., Lauffs, M., Lonka, K., Mattiasson, A.-C., Nordström, G. (2004). Interprofessional training in the Context of Clinical Practice: The Goals and the Students’ Perceptions on Clinical Education Wards. Medical Education, 38(7), 727-736. Lonka, K. (2004). Opetuksen kehittäminen akateemisena urana (Faculty development as an academic career). Peda-Forum, 11(2), 52-58. Lonka, K. (2004). Foreword. How to motivate healthy learning. In R.J. Botelho (Ed. ), Motivational practice. Promoting healthy habits and self-care of chronic diseases 2nd edition (pp. 5-7). Rocherster, NY: MHH Publications. Lonka, K. & Paganus, N. (2004). Ongelmalähtöinen oppiminen työelämään valmentajana. Teoksessa Tynjälä, P., Välimaa, J. & Murtonen, M. (Eds. ), Korkeakoulutus, oppiminen ja työelämä (pp. 237-254). Jyväskylä: PS-kustannus. Tynjälä, P., Slotte, V., Nieminen, J., Lonka, K. & Olkinuora, E. (2004). Yliopistosta valmistuneet työelämässä. Teoksessa Tynjälä, P., Välimaa, J. & Murtonen, M. (Eds. ), Korkeakoulutus, oppiminen ja työelämä (pp. 91-108). Jyväskylä: PS-kustannus. Bolander K., Lonka K., Josephson A. (2004) The aim of teaching – an interview study of anatomy and surgeon teachers. A paper presented at a conference Motivation, Learning, and Knowledge Building in the 21st century organized by EARLI, IKIT and Karolinska Institutet on the Baltic Sea, June 18-21, 2004. Hakkarainen, K., Lonka, K. & Paavola, S. (2004) How Can Human Intelligence Be Artificially Augmented Through Artifacts, Communities, Networks? Conference Motivation, Learning, and Knowledge Building in the 21st century organized by EARLI, IKIT and Karolinska Institutet on the Baltic Sea, June 18-21, 2004. A manuscript to be submitted 2005. Lonka K., Russell A. (2004) Workshop in Interprofessional practice in health care education, service and delivery. Conference Motivation, Learning, and Knowledge Building in the 21st century organized by EARLI, IKIT and Karolinska Institutet on the Baltic Sea, June 18-21, 2004. Honkela T., Heikkilä A., Lonka K. (2004) Modeling Motivational factors in learning. A paper presented at a conference Motivation, Learning, and Knowledge Building in the 21st century organized by EARLI, IKIT and Karolinska Institutet on the Baltic Sea, June 18-21, 2004. Parpala A. , Bolander K., Lonka K., Lindblom-Ylänne S. (2004) Exploring quality in Higher Education in three Nordic universities. Teacher’s perspective. A paper presented at a conference Motivation, Learning, and Knowledge Building in the 21st century organized by EARLI, IKIT and Karolinska Institutet on the Baltic Sea, June 18-21, 2004. Lonka, K. (2004) How to overcome the limitations of individual minds? The psychology of learning meets medical education. A plenary lecture at AMEE Conference, Edinburgh, the UK, September 5-8, 2004. Lonka, K. (2004) Medical Education and the Laboratory – A Meeting between psychology and natural Sciences. Keynote lecture. IFBLS 26th World Congress. June 13-18, 2004, Stockholm, Sweden. Hakkarainen, K., Lonka, K. & Lipponen, L. (2004). Tutkiva oppiminen. Järki, tunteet ja kulttuuri oppimisen sytyttäjinä. WSOY. Lonka K. (2004). Intervjuintagna läkarstudenter tar examen snabbare. Läkartidningen Nr 21-22, s.1874, 2004. Lonka, K. (2003). How research on medical education helps us to understand learning? Interlearn – Multidisciplinary Approaches to Learning. Helsinki, Finland, January 29-30, 2004. Lonka, K. (2004). Miten tehdä suomalaisten työurasta iloisempi ja pidempi? Pohjois-Suomen IX työmarkkinaseminaari. Rovaniemi, Finland, January 29-30, 2004. Lonka, K. (2004). Varför behövs simuleringar? Ett psykologiskt perspektiv på lärande. Simulatorutbildning – ett led i säkerhetsarbetet, Malmö, Sweden. March 1, 2004. Kågedal, A., Stattin, E., Olsson, P., Bolander, K. & Lonka, K. (2004) Student activating methods and information searching – a win win situation. A paper presented at Karolinska Institutets Utbildningskongress, Stockholm, Sweden , March 24, 2004. Lonka, K. (2004). Johtaminen ja työhyvinvointi arvoristiriitojen allokossa: Miten toimia? Mitä tehdä? Miten johtaa? Kansanterveysjaoston XXXI Kesäseminaari, Tuusula, Finland , August 20, 2004. Lonka, K. (2004).Medicinsk pedagogik, grundläggande principer. Keynote lecture. KIBs medicinska bibliotekskonferens. Stockholm, Sweden , August 23, 2004. Lonka K. (2004). Hoitotiimin yhteispeli pelastaa ihmishenkiä. Työtyrvallisuuskeskus. Työyhteisöviesti. 2004. Lonka K. & Slotte V. (2003). Note-taking review – Practical value for learners. Arobase, 1-2, 79-86. Lonka, K (2003). Helping Doctoral Students To Finish Their Theses. In L. Björk, G. Bräuer, L. Rienecker, G. Ruhmann, & P. Stray Jørgensen, (Eds. ), Teaching Academic Writing Across Europe (pp. 113-131). Dordrecht, The Netherlands: Kluwer University Press. Alaluusua, S., Heasman, P., Hervonen, H., Kuusi, T., Louhiala, P.,Lähdeoja, T., Pettersson, T., Pyörälä, E., Rautelin H., Ruotoistenmäki, J., Sajantila A., Salaspuro, M., Siimes, M., Simojoki, K. & Virtanen, I. (2003). In K. Simojoki (ed.) Final Report on the Evaluation of the Faculty of Medicine. Helsinki University Printing House. Lonka, K. (2003). Muskettisoturin matkassa. In Slotte S & Siljola S. (Eds.) Cameo – filosofin elämää. WSOY. Lonka, K. (2003). Miksi ihmisen on vaikeaa muuttaa ajatteluaan ja toimintaansa? Miten potilasta voidaan motivoida muutokseen? Hoidon onnistumisen avaimet – Sateliittikoulutustilaisuus.Vierumäki, Finland, 11-12/4. Lonka, K., Nieminen, J.& Sauri, P. (2003) On the relationship between group functioning and academic achievement in PBL. Padova, Italy, 26-30/8, 2003. Lonka, K., Nieminen, J. & Lindblom-Ylänne, S. (2003) Student` approaches to learning in context of preparing for examination. EARLI Conference, Padova, Italy, August 26-30, 2003. Lonka, K. & Masiello, I. (2003) Learning in a Web-based system in medical education. EARLI Conference, Padova, Italy, August 26-30, 2003. Bolander, K. & Lonka, K. (2003) Collaborative networked learning in teacher training. Padova, Italy, 26-30/8, 2003. Lonka, K. & Masiello, I. (2003) E-Learning in medical education at Karolinska Institute. EARLI Conference, Padova, Italy, August 26-30, 2003. Lonka, K., Nieminen, J., Olkinuora, E., Slotte, V. & Tynjälä, P. (2003) From university to working life: Graduates` workplace skills in practice. Padova, Italy, 26-30/8, 2003. Niemi-Murola, L., Heasman, P., Pitkälä, K. & Lonka, K. (September, 2003) Qualitative analyses of OSCE station in oncology. Breaking the bad news. Short communication in AMEE, , Lissabon, Portugal, 1-3/9. Lonka, K., Bolander K. (2003) Challenges in implementing a computer-based collaborative platform in staff development. Assessment of Teaching in AMEE, Bern, Switzerland, August 31/8-1-3/9, 2003. Heasman P., Pitkälä K., Hätönen T., Paganus N. & Lonka K. (September, 2003) Are standardized patients able to identify poor performing medical students in OSCE. The OSCE in AMEE, Bern, Switzerland, August 31-September 1-3. Niemi-Murola L., Heasman P., Kaipainen M., Kuusi T. & Lonka K. (September, 2003) Re-using an OSCE station and its re-take. Problem based learning in AMEE, Switzerland, Bern, August 31-September 1-3. Courteille, O., Bergin R., Fors U. & Lonka K. (September, 2003) Virtual interviews and simulation-based learning. Computer Assisted learning in AMEE, Switzerland, Bern, August 31-September 1-3. Hakkarainen, K., Lonka, K. & Paavola, S. (2003). Yhteisöt ja niiden kehittyminen. Toiminnan teorian ja sosiokultuurisen tutkimuksen päivät 1.-2.12.2003. Kauniainen, Finland. Hyväksytty julkaistavaksi. Lonka, K. (2002). Varying Teaching Methods Helps Even University Students -An interview with Wilbert J. McKeachie. LlinE Lifelong Learning in Europe journal, VII(2), 120-122. Mäkinen, J., Olkinuora, E. & Lonka, K. (2002). Orientations to Studying in Finnish higher education. Comparison of study orientations in university and vocational higher education. In E. Pantzar (Ed. ), Perspectives on the age of the information society. Tampere University Press. Lonka, K. (2002) Portfolios under utbildning. Kognition – lagra, överföra och använda kunskap.Utbildningens dag på Karolinska sjukhuset, 7/11-2002, Stockholm, Sweden. Hylin, U., Ponzer, S., & Lonka, K. (2002) Students approaches to learning and attitudes towards multiprofessional education. A paper presented at Karolinska Institutets Utbildningskongress, March 22, 2002, Stockholm, Sweden. Lonka, K., Hylin, U., & Ponzer, S. (2002) Students´ approaches to learning and attitudes 2, Ottawa Medical Education Conference, Canada, July 13th to 16th 2002. Lonka, K. (2002) Mistä ammennan voimia ja iloa työhöni- uusia ajatuksia oppimisesta? Yhteys konferenssi, 3.-5.9.2002, Helsinki, Finland. Lonka, K. (2002) Oppiminen ja muutos yksilön kannalta – miten jaksan uudistua ja kehittyä? Ajassa liikkuu – Johtamisen huippuseminaari, 24-25/9 2002,Vaasa, Finland. Lonka, K. (2002) Kaikki nopeutuu ja tehostuu – pysyykö ihminen perässä? Yrityksen uudistuminen ja kilpailukyvyn kehittäminen.26-29/2002. Lonka, K., Bolander, K. (2002) Helping university teachers in transforming their ideas of learning. British Psychological Society’s Annual Psychology of Education Section Conference 1-3 November 2002, London. Vanhanen, H., Puolakkainen, P., Pitkälä, K., Strandberg, T., & Lonka, K. (2001). The problem-based tutorial laboratory – a method for teaching medical teachers. Medical Teacher, 99-101. Lindblom-Ylänne, S. & Lonka, K. (2001). Medical students’ perceptions of the assessment practices. Advances in Health Sciences Education, 6, 121-140. Lonka, K. Slotte, V., Halttunen, M., Kurki, T., Tiitinen, A. Vaara, L. & Paavonen, J. (2001). Portfolios as a learning tool in obstetrics and gynaecology undergraduate training. Medical Education, 35, 1125-1130. Wangel, M., Slotte, V. & Lonka, K. (2001). Information technology in medical education – Nationwide project on the opportunities of the new technology. Medical Education, 35, 990-995. Slotte, V. & Lonka, K. (2001). Study-strategy use in learning from text. Does gender make any difference? Instructional Science, 29, 255-272. Lonka, K. (2001). The Helsinki 2000 Curriculum: Challenges and solutions in transforming a traditional curriculum into PBL. In Heinz Mandl, Reinhardt V. Putz, Klaus Peter, Siegfried Höfling (Eds. ), Lernmodelle der Zukunft – am Beispiel der Medizin (Learning Models for the Future – Examples of Medicine). Argumente und Materialien zum Zeitgeschehen 26 (pp. 79-89). Germany: Hanns Seidel Stiftung, 2001. Slotte, V. & Lonka, K. (2001). Notetaking and essay-writing. In P.Tynjälä, L. Mason, & K. Lonka (Eds. ), Writing as a Learning Tool: Integrating theory and practice. Studies in Writing, Vol. 7. Dordrecth, The Netherlands: Kluwer. Tynjälä, P., Helle, L., Lonka, K., Murtonen, M., Mäkinen, J., & Olkinuora, E. (2001). A university studies perspective into the development of professional expertise. In E. Pantzar, R. Savolainen, & P. Tynjälä (eds.) In search for a human-centered information society. Reports of the Information Research Programme of the Academy of Finland, 5 (pp. 143-169). Tampere: Tampere University Press. Tynjälä, P., Mason, L., & Lonka, K. (2001). Introduction – Writing as a learning tool. In P.Tynjälä, L. Mason, & K. Lonka (Eds. ), Writing as a Learning Tool: Integrating theory and practice. Studies in Writing, Vol. 7. Dordrecth, The Netherlands: Kluwer Academic Publishers. P.Tynjälä, L. Mason, & K. Lonka (Eds., 2001) Writing as a Learning Tool: Integrating theory and practice. Studies in Writing, Vol. 7. Dordrecth, The Netherlands: Kluwer Academic Publishers. Lindblom-Ylänne, S., Lonka, K. & Slotte, V. (2001). Aiotko opiskelijaksi? Edita. Lindblom-Ylänne, S., Lonka, K. & Slotte, V. (2001). Yliopisto-oppimisen tutkimus: metodologisia pohdintoja. Suomen Psykologisen seuran julkaisu 1-2/2001. s. 36-48. Lonka, K. & Vähäpassi, A. (2001). Erikoistumisopintojen arviointikriteerit. Teoksessa A. Vähäpassi (Ed.) Erikoistumisopintojen akkreditointi. Korkeakoulujen arviointineuvoston julkaisuja 3:2001 (pp. 28-40). Helsinki: Edita. Lonka, K. (2001). Syntynyt johtajaksi? Uusia oppimisen mahdollisuuksia. Teoksessa P. Castrén (Ed.) Viisas valta. Johtamisen paradoksit, 3. Ekonomia-sarja. WSOY. Lonka, K. 2001 Reform in medical school – needed, wanted, possible? Nordic Federation of Medical Education. Helsinki, 3.-5.5.2001. Lonka, K. 2001. Helping doctoral students to finish their dissertations. Workshop in conference Inspiring Medical Education – Evidence and Fiction. Nordic Federation for Medical Education. May 3-5, 2001, Helsinki. Paganus, N., Lonka, K. & Hätönen, T. 2001. What makes problem-based learning work? A qualitative study. A paper presented in conference Inspiring Medical Education – Evidence and Fiction. Lonka K. (2001) Modern concepts in continuing education. Hammaslääkäreiden täydennyskoulutus. Hammaslääkäriseura Apollonia, Helsinki, Finland, 25/8, 2001. Lonka K., Lindblom-Ylänne, S., Nieminen, J. & Hakkarainen, K. 2001. Conceptions of learning and personal epistemologies: Are they intertwined? A paper presented at Earli conference, Fribourg, Switzerland, 28.8.-1.9. 2001. Lonka, K. 2001. Chair at the Paper session ”Learning in higher education: social and psychological issues. 9th European Conference on Learning and Instruction, Fribourg, Switzerland, 28. August – 1. September, 2001. Paganus N., Lonka, K. & Hätönen, T. 2001. Interaction between a tutor and a problem-based learning group: A qualitative study. A paper presented in the EARLI conference SIG Invited symposium. Fribourg, 28.8.-1.9.2001. Nieminen, J., Lindblom-Ylänne, S. & Lonka, K. 2001. How early do domain-specific conceptions of learning and knowledge develop? A paper presented at Earli conference, Fribourg, Switzerland, 28.8.-1.9. 2001. Lonka, K. 2001. Organized symposium: First-year students experiences in higher education: International perspectives. 9th European Conference on Learning and Instruction, Fribourg, Switzerland, August 28– September 1, 2001. Lonka, K. 2001. Chair at the session Curriculum Evaluation. AMEE, Berlin, Germany, August 31 – September 4, 2001. Lonka, K. 2001. Organizing a Panel discussion ”The Edinburgh 2000 Group”. 9th European Conference on Learning and Instruction, Fribourg, Switzerland, August 28– 1. September 1, 2001. Lonka, K. (2001) Inspiring medical education? A plenary in NFME-workshop, AMEE, Berlin, Germany, August 31 – September 4, 2001. Lonka, K., Hätönen, T., Paganus, N., Vainio, J., Heikkilä, A., & Nieminen, J. 2001. New faculty-level evaluation instruments. A paper presented in AMEE Conference, September 3-5, 2001, Berlin, Germany. Paganus, N., Lonka, K. & Hätönen, T. 2001. How to promote success in a PBL tutorial session. A paper presented in AMEE Conference, September 3-5, 2001, Berlin, Germany. Helle, L., Tynjälä, P., Lonka, K. & Olkinuora, E. 2001. Motivation and study processes in project studies re-examined. A paper presented at the 3rd Conference on Research on Information and Information Society. September 13.-14. 2001, Tampere, Finland. Helle, L., Tynjälä, P., Olkinuora, E. & Lonka, K. 2001. Motivation and learning processes in project studies examined. A paper presented at The 3rd Conference of the Information Research Programme, 13.-14. September 2001, Tampere. Lonka, K. (2001) The Challenge of Learning. A paper presented in Nordic Interactive Congress, Copenhagen, October, 2001. Lindblom-Ylänne, S. & Lonka, K. (2000). Individual study orchestrations of high achieving university students. European Journal of Educational Psychology, 15, 19-32. Lindblom-Ylänne, S. & Lonka, K. (2000). Interaction between learning environment and expert learning. Lifelong Learning in Europe, V(2), 90-97. Lonka, K., Hakkarainen, K., & Sintonen, M. (2000). Progressive inquiry learning for children –experiences, possibilities, limitations. European Early Childhood Education Association Journal, 8, 7-23. Lonka, K. (2000). Tutkivan oppimisen mahdollisuuksia yliopisto-opetuksessa. Didacta Varia, 5(1), 137 – 156. Lonka, K. & Hakkarainen, K. (2000). Oppiminen vuonna 2020? (Learning theories in the year 2020?) Psykologia, 35(2), 135-142. Slotte,V., Wangel, M., Simojoki, K., Lonka, K. & Lehtinen, E. (2000). Tietotekniikan käyttö lääketieteen opetuksessa: valtakunnallinen projekti uuden teknologian mahdollisuuksista, osa 1. Opettajien käsitykset. Suomen Lääkärilehti, 19, 2113-2117. Lonka, K. (2000). Johtajat tunteiden armoilla. Acatiimi 2/2000. Lonka, K. (2000). Oppimisen muutos koskee kaikkia. Kolumni Tiede 2000-lehdessä. Lonka, K. (2000). Uudet oppimismenetelmät. (New learning methods) Teoksessa Hannu-Pekka Lappalainen (toim. ), Virikkeitä viestintävalmiuksien arviointiin. Arviointi 3/2000 (s. 142-151). Opetushallitus. Helsinki. Lonka, K. (2000). Jokainen oppija on erilainen. Teoksessa A.-M. Hintikka (toim. ), Erilaisesta oppijasta erinomaiseksi oppijaksi. Kokemuksia erilaisesta opettamisesta ja erilaisesta oppimisesta. Helsingin seudun erilaiset oppijat ry (HERO) (s. 26 – 37). Jyväskylä: Gummerus. Lonka, K. (2000). Miksi pelkkä tiedonsiirto ei riitä? Teoksessa L. Aalto (toim. ), Tietoa, tunteita, toimintaa. Moniammatillisen ja kokemuksellisen päihdetyön koulutuksen loppuraportti (s. 21-25). Lonka, K. (2000). Uudet oppimismenetelmät – havaintoja vuorovaikutustaitojen opetuksesta ja arvioinnista aineopintoihin integroituna. (New learning methods – observations of teaching and assessing communication skills.) Teoksessa Hannu-Pekka Lappalainen (toim.) Kommunikaatiotaidot koulutuksen tavoitteena ja arvioinnin kohteena. Opetushallitus. Helsinki. Lonka, K., Lahtinen, V., & Lindblom-Ylänne, S. (1997). Mieti ja muokkaa, opit paremmin. Tiede 2000, 17(6), 56-59. Lonka, K. (2000, tammikuu) Miten koulutusta arvioidaan? Esitelmä Lääkäripäivillä 12.1. 2000. Helsinki. Messukeskus. Lonka, K. (2000, April) Moving into the Helsinki 2000 Curriculum: Staff development and teacher training. An invited workshop. Nordic Federation för Undervisning I Medicin. Århus, Denmark, April 12-14, 2000. Lonka, K, Vesikansa, S., & Lindblom-Ylänne, S. (2000, May) Finnish university students’ study motivation. A paper presented in WATM Symposium, Leuven, Belgium, May, 12-15, 2000. Paganus, N., Lonka, K., & Hätönen, T. (May, 2000) Motivation in PBL: A qualitative study. A poster presented in WATM Symposium, Leuven, Belgium, May, 12-15, 2000. Lonka, K. (2000) Changing conceptions of learning in the changing society. The 14th Nordic Conference for Radiographers. 30.5. 2000. Helsinki, Finland. Lonka, K. (2000, July) How to change a traditional medical school into an innovative one? A story of challenges and solutions. EGOS Conference, Helsinki Business University, July 2-4, 2000. Timo Honkela, Teemu Leinonen, Kirsti Lonka and Antti Raike (2000). Self-Organizing Maps and Constructive Learning. ICEUT2000, Proceedings for International Conference on Educational Uses of Information and Communication Technologies, Beijing, August 21-25, 2000. Heikkilä, A., Nieminen, J., Lonka, K. 2000. University students’ motivational problems – a qualitative case study. A paper presented at Innovations 2000 in Higher Education Conference, Helsinki, Finland, 30.8.-2.9. 2000. Lonka, K& Sauri, P. (2000) Moving into the Helsinki 2000 Curriculum: using portfolios in staff development and teacher training. A paper presented in Innovations 2000 in Higher Education Conference, Helsinki, Finland, 30.8.-2.9. 2000. Kirsti Lonka, Kaisu Pitkälä & Pekka Sauri (2000) The management of resistance to problem-based learning in a study group A paper presented in Innovations 2000 in Higher Education Conference, Helsinki, Finland, 30.8.-2.9. 2000. Lonka, K. (2000) How to help doctoral students to finish their theses. A paper presented in Innovations 2000 in Higher Education Conference, Helsinki, Finland, 30.8.-2.9. 2000. Nieminen, J., Lindblom-Ylänne, S. & Lonka, K. 2000. The stability of disorganized learning patterns in a traditional learning environment. A paper presented at Innovations 2000 in Higher Education Conference, Helsinki, Finland, 30.8.-2.9. 2000. Nieminen, J., Lindblom-Ylänne, S. & Lonka, K. 2000. The development of study orientations. A paper presented at Innovations 2000 in Higher Education Conference, Helsinki, Finland, 30.8.-2.9. 2000. Lonka, K. & Saarinen, E. 2000. Think fearessly – how to activate a group of 700 students. A workshop in Innovations in Higher Education 2000 Conference, Helsinki, Finland, August 30 – Sept 2, 2000. Lonka, K. (2000) Helping Ph.D. candidates finishing their theses. EARLI SIG Writing Conference, September 6-10, 2000, Verona, Italy. Lonka, K. 2000. From information acquisition to knowledge construction. VERITY-Conference, Athens, Greece, November 30 – December 02, 2000. Lindblom-Ylänne, S. & Lonka, K. (1999). Individual ways of interacting with the learning environment – are they related to study success? Learning and Instruction, 9, 1-18. Lindblom-Ylänne, S., Lonka, K. & Leskinen E. (1999). On the predictive value of entry-level skills for successful studying in medicine. Higher Education, 37, 239-258. Slotte, V. & Lonka, K. (1999). Review and process effects of spontaneus note-taking on text comprehesion. Contemporary Educational Psychology, 24, 1-20. Slotte, V. & Lonka, K. (1999). Spontaneous concept maps aiding the understanding of scientific concepts. International Journal of Science Education, 21, 515-531. Grede, K., Cheesmond, R., Lonka, K. & Roman, K. (1999). From the Cherry Orchard to the Future. Evaluation of the Theatre Academy of Finland. Publications of Higher Education Evaluation Council 6:1999. Helsinki: Edita. Lonka, K., Slotte, V., Halttunen, M., Kurki, T., Tiitinen, A. & Paavonen, J. (1999). Portfolio synnytys-ja naistentautien kurssilla. Suomen Lääkärilehti, 15(99), 2023-2026. Hakkarainen, K., Lonka, K. & Lipponen, L. (1999). Tutkiva oppiminen. Älykkään toiminnan rajat ja niiden ylittäminen. WSOY. Lonka, K. (1999). Ajatteluun rohkaiseminen. Opettajan kouluttaja, 2(99), 18-20. Tenhula, T., Fant, B., Lonka, K., Vaananen, A. Åberg, L.-M., & Honkanen, M. (1999). Portfolio – yliopistotyön kehittämisen ja arvioinnin väline. Tieteentekijöiden liitto. Acatiimi 8(99), Erillinen liite, 16 sivua. Lonka, K. (1999). Ihmissuhdetaitojen opettaminen tuleville lääkäreille. Suomen Lääkärilehti 32(3), 839–3 840. Pitkälä, K. & Lonka, K. (1999). Portfolioarvioinnin subjektiivisuuden ja objektiivisuuden ongelma. Teoksessa Tenhula, T. (toim. ), Opetus sydämen asiana. Oulun yliopiston opetuksen kehittämisyksikön julkaisuja. Dialogeja 2/99 (s. 91-102). Lonka, K. (1999). Pelkkä fyysinen huolenpito ei pidä ihmistä hengissä. Mielenterveys 1(99), 22-24. Lonka, K. (1999). Minun yliopistoni kannustaisi vuorovaikutukseen. Teoksessa E. Vuori (toim. ), Helsingin yliopisto – kampusten yliopisto. s. 101. Lonka, K. (1999). Opetusansiot? Acatiimi 3/99 s.21. Lonka, K. (1999) Pätkätöiden kirous. Acatiimi 8/99 s. 13. Lonka, K. (1999). Johdantoluku. Mihin psykologiaa tarvitaan? Mitä ovat psykologia, mielenterveys, henkinen hyvinvointi Teoksessa Henkiseen hyvään oloon. Suuri suomalainen kotipsykologiakirja (s. 10-11). WSOY. Suuri Suomalainen Kirjakerho. Lonka, K. (1999). Nuoruus. Erilaiset tavat oppia. Teoksessa Henkiseen hyvään oloon. Suuri suomalainen kotipsykologiakirja (s. 116). WSOY. Suuri Suomalainen Kirjakerho. Lonka, K. (1999). Miten voimme tukea oppimista. Teoksessa Henkiseen hyvään oloon. Suuri suomalainen kotipsykologiakirja (s. 117-118.). WSOY. Suuri Suomalainen Kirjakerho. Lonka, K. (1999). Miten tuemme toistemme oppimista – työ on joukkuepeliä. Teoksessa Henkiseen hyvään oloon. Suuri suomalainen kotipsykologiakirja ( s. 273-275). WSOY. Suuri Suomalainen Kirjakerho. Uudet opetusmenetelmät lääketieteen oppimisessa: valtakunnallinen projekti uuden teknologian nivomiseksi opintouudistuksiin. Turun, Helsingin ja Kuopion yliopistojen yhteistyöhanke. Työryhmä: Virpi Slotte, Michael Wangel, Kaarlo Simojoki, Sirpa Lehti, Kirsti Lonka & Erno Lehtinen. 1999. Raportti opetusministeriölle. Lonka, K. (1999). The Helsinki 2000 Curriculum: Challenges and solutions in transforming a traditional curriculum into PBL. An invited keynote lecture in symposium “Learning Models for the Future – Examples of Medicine (Lernmodelle der Zukunft – am Beispiel de Medicin). Hanns-Seidel-Stiftnung eV. Munich, Germany, March 3-5, 1999. Submitted for publication. Slotte, V., Seppänen, I., Lonka, K. & Hakkarainen, K. (1999, April) Approaches to learning: using CD-ROM and print versions of an encyclopedia. A paper presented at annual meeting AERA99 (American Educational Research Association), Montreal, Canada, April 19-23. Kirsti Lonka, Kaisu Pitkälä, Pauli Puolakkainen, Pekka Sauri, Hannu Vanhanen (1999), The problem-based tutorial laboratory – mentoring medical teachers. A paper presented at at the 8th EARLI Conference, Goteborg, Sweden, August 24-28, 1999. Lonka, K. Slotte, V., Halttunen, M., Kurki, T., Tiitinen, A. Vaara, L. & Paavonen, J. (1999, August) Using portfolio in undergraduate teaching of obstetrics and gynecology. A poster presented at AMEE Conference, Linköping, Sweden, August 30 – September 1, 1999. Lonka, K. & Sauri, P. (1999) Moving into Helsinki 2000 Curriculum: using portfolios in staff development and teacher training. A paper presented at AMEE Conference, Linköping, Sweden, August 30 – September 1, 1999. Lonka, K. (1999) Progressive inquiry learning –experiences, possibilities, limitations. 9th European Conference of European Early Childhood Education Association (EECERA), Helsinki, Finland 1-4 September, 1999. Slotte, V. & Lonka, K. (1998). Using notes during Essay-writing: Is it always helpful? Educational Psychology, 18, 445-459. Lonka, K. (1998). The 21st Century Student – An active learner? An invited theme session keynote lecture. Proceedings of the 23rd International Conference “Improving University Teaching and Learning”, 63-79. Lonka, K. (1998). Miksi yliopistossa pitää ajatella ihan alusta asti? Teoksessa H. Kumpulainen & M. Vanhala (toim. ), Tiedeyhteisön tuli (s. 53-69). Oulun yliopiston opintotoimiston julkaisuja. Dialogeja 1. Lonka, K., Lahtinen, V., Heikkilä, A. & Murtonen, M. (1998). Arviointitulosten vaikutus resurssien jakoon – tapauksena Helsingin yliopiston lääketieteellinen tiedekunta. Teoksessa K. Hämäläinen & S. Moitus (toim. ), Laatua korkeakoulutukseen – teoriaa ja käytäntöä. Korkeakoulujen arviointineuvoston julkaisuja 6/1998 (s. 95-103). Opintojen etenemisen tehostaminen. Työryhmä: Arto Mustajoki (pj. ), Hannele Hermunen, Riitta Jalasto, Leena Koskinen, Pekka Linna, Kirsti Lonka, Eini Mäkelä, Heikki Paloheimo, Petteri Paronen, Anita Lehikoinen. Opetusministeriön työryhmien muistioita 15: 1998. Lonka, K. (1998). Mitä on tehokas oppiminen? Kuntakoulutuksen vuosikertomus 1997 (s. 20-21). Kuntakoulutus Oy. Lonka, K. (1998). Kokonaistyöaika – elämämme tilaisuus? Acatiimi. Lonka, K. (1998). Viisi vuotta ja juuresta poikki – mitä muistio todella sanoi? Acatiimi 9, s. 23. Lonka, K. (1998) Kohti maailman parasta lääkärikoulutusta? Valokeilaluento. Lääkäripäivät, Helsingin Messukeskus, 6.-10.1. 1998. Heikkilä, A., Lonka, K., & Nurmi, J.-E. (1998) How do students’ achievement strategies relate to their conceptions of learning and knowledge. A paper presented at International Conference on Motivation, Thessaloniki, Greece, March 27-30, 1998. Pitkälä, K., Mäntyranta T., Lonka, K., Kekki, P., & Klockars, M. (1998) Portfolio: a learning tool for doctor-patient interaction. A poster presented in a Conference of Doctor-Patient Communication, Amsterdam, The Netherlands, June 9-11, 1998. Lonka, K. (1998) Active versus passive learning. An invited keynote in Life-Long Learning in Pharmacy, Copenhagen, 10-13,6. 1998. Lonka, K. (1998) The 21st Century Student. A featuring keynote presentation. Improving University Teaching and Learning, Dublin, Ireland, July 6-9, 1998. Slotte, V., Seppänen, I., Lonka, K. & Hakkarainen, K. (1998, August) Learning from hypertext versus paper text. An empirical comparison. A paper presented at a joint meeting of the EARLI SIGs ‘Higher education’ and ‘Teaching and teacher education’ Leiden, The Netherlands, 27.-29.8.1998. Lindblom-Ylänne, S., Lonka, K., Ten Dam, G., & Vermunt, J. (1998) Educating expert minds for 21st century. A joint meeting of the EARLI-SIG’s ‘Higher Education’ and ‘Teaching and Teacher Education’. Leiden, The Netherlands, August 27-29, 1998. Vanhanen, H., Puolakkainen, P., Pitkälä, K., Strandberg, T., & Lonka, K. (1998, September) The problem-based tutorial laboratory – a method of teaching medical teachers. A poster presented at AMEE Conference, Prague, Czech Republic, August 31-September 2, 1998. Pitkälä, K., Mäntyranta T., Pauna, A.-R., Lonka, K., Kekki, P., & Klockars, M. (1998) A learning portfolio: a facilitative tool in professional development of medical students. A short communication presented at AMEE Conference, Prague, Czech Republic, August 31-September 2, 1998. Sauri, P., Pitkälä, K., & Lonka, K. (1998) The management of resistance to problem-based learning in a study group. A short communication presented at AMEE Conference, Prague, Czech Republic, August 31-September 2, 1998. Lonka, K. (1998) Constructivism in action – experiences, possibilities. The Second International Lline Seminar, Helsinki, Finland, September 7-8, 1998. Lonka, K. (1998) Constructivism in action – experiences, possibilities. The Second International Line Seminar, Helsinki, Finland, September 7-8, 1998. Slotte, V., Lonka, K. & Lindblom-Ylänne (1998, December) A gender comparison of spontaneous study-strategy use in science text comprehension. A paper presented at the workshop on ‘The psychology of science text comprehension’, Madrid, Spain, 2.- 4.12.1998. Lahtinen, V., Lonka, K. & Lindblom-Ylänne, S. (1997). Spontaneous study strategies and the quality of knowledge construction. British Journal of Educational Psychology, 67, 13-24. Lonka, K. (1997). Explorations of constructive processes in student learning. University of Helsinki. Department of Psychology. DOCTORAL DISSERTATION. Lonka, K. (1997). Helsingin yliopisto oppimisen ympäristönä. Arkkitehtilehti – Finnish Architectural Review 1. Lonka, K. (1997). Assistentit ja tutkijat – yliopiston säteilevä ydin. Juhlapuhe. Yliopisto-lehti. Lonka, K. (1997). Lintukotoa ravistellaan. Acatiimi. Lonka, K. (1997). Mitä ovat ydintaidot? Acatiimi. Lonka, K., Maury, S., & Heikkilä, A. (1997) How do students’ thoughts of their writing process relate to their conceptions of learning and knowledge. A paper presented at 7th European Conference of EARLI (European Association of Research on Learning and Instruction). Athens, Greece, August 26 to 30, 1997. Lindblom-Ylänne, S. & Lonka, K. (1997): Medical student’s individual stud orchestrations and their relations to study success. A paper presented at a symposium ”Student learning in higher education: manifestation and effects of dissonant study orhestration”. Organiser: Professor Erik Meyer, South Africa. The 7th EARLI Conference, Athens, Greece, August 26-30, 1997. Lahtinen, V. & Lonka, K. (1997) The effect of metacognitive awareness on note-taking and learning from text. A paper presented at 7th European Conference of EARLI (European Association of Research on Learning and Instruction). Athens, Greece, August 26 to 30, 1997. Lonka, K., Heikkilä, A., Lindblom-Ylänne, S. & Maury, S. (1997): Are epistemologies related to study activities in an innovative course? A paper presented at the 7th EARLI Conference, Athens, Greece, August 26-30, 1997. Muukkonen, H. & Lonka, K. (1997) Learning probability concepts from a complex text. A paper presented at the 7th EARLI Conference, Athens, Greece, August 26-30, 1997. Tenhunen, A. (1997) Becoming a Physician – an integrated study program. A short communication presented at AMEE Conference, Vienna, Austria, August 31-September 2, 1997. Lonka, K., Mäntyranta, T., Kekki-Karppinen, P., Paavonen, J., Palo, J., Pitkälä, K., & Tenhunen, A. (1997) Becoming a Physician – an integrated study program. A short communication presented at AMEE Conference, Vienna, Austria, August 31-September 2, 1997. Lonka, K. & Lindblom-Ylänne, S. (1996). Epistemologies, conceptions of learning, and study practices in medicine and psychology. Higher Education, 31, 5-24. Lonka, K., Joram, E. & Bryson, M. (1996). Conceptions of learning and knowledge – does training make a difference? Contemporary Educational Psychology, 21, 240-260. Lindblom-Ylänne, S., Lonka, K. & Leskinen, E. (1996). Selecting students for medical school: What predicts success during basic science studies? A cognitive approach. Higher Education, 31, 507-527. Lindblom-Ylänne, S. & Lonka, K. (1996). Opetuksen laadun arviointi. Docis, 12, 69-74. Lonka, K. (1996). Kirjoittamisprosessin tukemisesta opetuksessa. Peda-Forum 1(96), 20-22. Lonka, I., Lonka, K., Karvonen, P. & Leino, P. (1996). Taitava kirjoittaja. AINO-projektin julkaisu. Helsinki: Lahden tutkimus- ja koulutuskeskus..
Lonka, K. (1996). Rohkene tutoroida. Opas uusien opiskelijoiden pienryhmäohjaajille. Helsingin yliopisto. Opetuksen kehittämisprojekti. Kolmas painos vuonna 1999. Mäntyranta, T., Järvinen, A., Lonka, K., & Pitkälä, K. (1996). Kliinisen vaiheen juonneopetus. Lääketieteellinen tiedekunta, Helsingin yliopisto. Lonka, K. (1996). Opiskelijavalinnat kaipaavat rajua uudistamista. HS Mielipidesivut 28.8. 1996. Lonka, K. (1996) Activating instruction – how to foster study and thinking skills. ICED96 (Preparing University Teachers, A seminar organized by Oxford Brookes University Staff Development Centre), Vaasa, Finland, June 13-15, 1996. Lahtinen, V., Lonka, K. & Lindblom-Ylänne, S. (1996) Spontaanien opiskelustrategioiden merkitys tekstistä oppimiseen ja tiedon tuottamiseen.Psykologia-kongressi, Turku, 28.8.-30.8. 1996. Lindblom-Ylänne, S. & Lonka, K. (1996) Miten tekstin ymmärtämisen taidot ennustavat menestystä lääketieteen opinnoissa? Psykologia-kongressi, Turku, 28.8.-30.8. 1996. Lonka, K., Lindblom-Ylänne, S. & Lahtinen, V. (1996) Monimutkaisten tekstien oppimisesta – tutkimusprojektin esittely. Psykologia-kongressi, Turku, 28.-30.8. 1996. Lonka, K. (1996) Aktivoivat työtavat psykologian opetuksessa. Psykologia-kongressi, Turku, 28.-30.8. 1996. Lahtinen, V., Lonka, K. & Lindblom-Ylänne, S. (1996) Spontaneus study strategies in comprehending textual content and writing about it. A paper presented at UCIS96 (International Seminar on Using Complex Information Systems) Poitiers, France, September 4-8, 1996. Lindblom-Ylänne, S. & Lonka, K. (1996) How do text comprehension skills predict success in medical school? A poster presented at UCIS96 (International Seminar on Using Complex Information Systems) Poitiers, France, September 4-8, 1996. Lonka, K., Lahtinen, V. & Lindblom-Ylänne, S. (1996) Learning from complex texts: An overview of a research project. UCIS’96 (Using Complex Information Systems), Poitiers, France, September 4-8, 1996. Lonka, K. & Lindblom-Ylänne, S. (1996) Nais-ja miesopiskelijoiden oppimis-ja tietokäsitykset sekä itsesäätelyn taidot. Psykologia-kongressi, Turku, 28.-30.8. 1996. Hakkarainen, K., Järvelä, S., Lipponen, L., Lonka, K. & Lehtinen, E. (1996) Culture of collaboration in computer-supported learning. A poster presented in an invited workshop organized by C. Bereiter & M. Scardamalia. The Growing Mind. Centennial Conference of Jean Piaget’s birth, Geneve, Switzerland, September 14-18, 1996. Lonka, K. (1996) How to foster scientific writing in higher education. A workshop in EARLI Special Interest Group Writing Symposium, Barcelona, Spain, October, 23-25, 1996. Lonka, K. & Ahola, K. (1995). Activating instruction – how to foster study and thinking skills in higher education. European Journal of Psychology of Education, 10(4), 351-368. Lonka, K. (1995). Tiedonkäyttö esseevastausta laadittaessa. Psykologia, 30, 186-197. Lindblom-Ylänne, S. & Lonka, K. (1995). Aineistokokeen seuranta loppusuoralla – eväitä opiskelijavalintojen ja korkeakouluopetuksen kehittämiseen. Korkeakoulutieto, 22. Lonka, K. & Lindblom-Ylänne, S. (1995). Onko laillista kieltää tutkijaa synnyttämästä? Helsingin Sanomat, mielipidesivut 26.11. 1995. Lonka, K. & Hakkarainen, K. (1995). Älykkään toiminnan kontekstisidonnaisesta ja sosiaalisesti rakentuvasta luonteesta. Teoksessa L. Haaparanta, E. Hyvönen, J. Seppänen ja J. Silvonen (Eds. ), Älyn ulottuvuudet ja oppihistoria. Matka logiikan, psykologian ja tekoälyn juurille. Suomen Tekoälyseuran julkaisuja. Symposiosarja No 13 (pp. 268-285). Helsinki: Hakapaino Oy. Hakkarainen, K. & Lonka, K. (1995) Tietokoneavusteiset intentionaaliset oppimisympäristöt. Interaktiivinen teknologia koulutuksessa (ITK-95), Aulanko, Hämeenlinna, 21.- 22.4. 1995. Vermunt, J. & Lonka, K. (1995) The quality of student learning in higher education: An international perspective. Symposium at the 6th Conference of the European Association for Research on Learning and Instruction, University of Nijmegen, The Netherlands, August 26-31, 1995. Lonka, K. & Lindblom-Ylänne, S. (1995) Epistemologies, conceptions of learning and study success in two domains: medicine and psychology. In: Vermunt, J. & Lonka, K. The quality of student learning in higher education: An international perspective. Symposium at the 6th Conference of the European Association for Research on Learning and Instruction, University of Nijmegen, The Netherlands, August 26-31, 1995. Lonka, K. (1995) Opetuksen arviointi. Farmasian päivät 1995 – Asiakas ammattiapteekissa. Esitelmä symposiossa Farmasian opetus kehittyy. (s. 218-222). Helsinki, 12.11. 1995. Lonka, K., Lindblom-Ylänne, S. & Maury, S. (1994). The effect of study strategies on learning from text. Learning and Instruction, 4, 253-271. Lindblom-Ylänne, S., Ailus, K., Lonka, K. & Perheentupa, J. (1994). Lääketieteen aineistokoe laajentaa valintakokeessa mitattavia taitoja ja valmiuksia. Suomen Lääkärilehti, 49(5), 467-470. Lonka, K. (1994). Tiedon käyttö esseevastausta laadittaessa. Kahdesta tieteellisestä artikkelista koostuva julkaisematon lisensiaatintyö. Helsingin yliopisto, Psykologian laitos. (arvosana mcl). LICENTIATE THESIS. Lonka, K. & Linbdlom-Ylänne, S. (Eds, 1994) Construction of knowledge in verbal and pictorial environments. Program and abstracts. Third working Conference of EARLI SIG “Comprehension of Verbal and Pictorial Information”, University of Helsinki, Finland, June 6-8. 1994. Lindblom-Ylänne, S. & Lonka, K. (1994) Text comprehension skills, learning approach, and success in medical school. A paper presented at EARLI SIG “Comprehension of Verbal and Pictorial Information” Third Working Conference, Helsinki, June 6-8. 1994. Lonka, K., Joram, E. & Bryson, M. (1994) Changing conceptions of learning in educational psychology. A paper presented at EARLI SIG “Comprehension of Verbal and Pictorial Information” Third Working Conference, Helsinki, June 6-8. 1994. Vermunt, J., Lonka, K. & Lindblom-Ylänne, S. (1994) Cross-cultural research on learning: A comparison between Dutch and Finnish students’ learning styles. A paper presented at EARLI SIG “Comprehension of Verbal and Pictorial Information” Third Working Conference, Helsinki, June 6-8. 1994. Lonka, K. & Lindblom-Ylänne, S. (1994) Epistemologies and conceptions of learning in medical and psychology students. A poster presented at Conceptual Change Symposium, Jena, Germany, September 1-4, 1994. An unpublished manuscript. Lonka, K. & Mikkonen, V. (1989). Why does the length of an essay-type answer contribute to examination marks? British Journal of Educational Psychology, 59, 220-231. Lonka, K. & Lonka, I. (1993). Aktivoiva kirjoittaminen. Teoksessa A. Kajanto (Ed.) Aikuisten oppimisen uudet muodot. Vapaan sivistystyön 34. vuosikirja (pp. 197-224.) Helsinki: Kirjastopalvelu Oy. Lonka, K. (1993) Psykologia. Teoksessa Hyvönen, E., Karanta, I. & Syrjänen, M. (toim. ), Tekoälyn ensyklopedia (pp. 38-46.) Helsinki: Gaudeamus. Lonka, I. & Lonka, K. (1993). Miten arvioimme koulun perustehtävää – opetusta. Teoksessa Koulun itsearviointi. (pp. 90-98.) Helsinki: Opetushallitus. Lonka, K. & Lonka, I. (1993). Aktivoivat työtavat yliopistossa. Yliopisto-lehti, 41(6), 22-*23. Lonka, K. (1993). Miksi korkeakouluopetus junnaa paikallaan? Contactor, 7. Alakerta. Lonka, K. (1993). Nykyiset tulosmittarit tuhoavat opetuksen kehittämisen. Yliopisto, 41 (23), 39-40. Lonka, K., Miettinen, M., Silfverberg, M. ja Verkasalo, M. (1993). Strukturoitu kurssipalautelomake. Tekninen toimivuus ja käyttöohje. Oppimispsykologisen kehittämisprojektin julkaisuja 1. Helsinki: Yliopistopaino. Lonka, K. (1993). Aivotoiminta ja älykkyys – mitä mittaamme? Esitelmä Aivot ja Kognitio -koulutuspäivillä. Helsinki, Säätytalo 21.-23.4. 1993. Lonka, K. (1993). Aktivoivat työtavat yliopisto-opetuksessa. Posteri Opetuksen päivänä 13.5.1993. Helsingin yliopisto. Lonka, K., Lindblom-Ylänne, S. & Maury, S. (1993). Study strategies, learning from text, and success in medical school: A follow-up study. A paper presented at invited symposium “Improving the quality of student learning in higher education: Research using psychological concepts and research methods”. Organizer: Professor Noel Entwistle, UK. III European Congress of Psychology, July 4-9, 1993, Tampere, Finland. Lonka, K. (1993). Activating instruction – how to foster study and thinking skills in higher education. A paper presented at symposium: “Process-oriented approaches to (text) comprehension instruction”. Chair: F.P.C.M. De Jong. 5th European Conference of EARLI (European Association of Research on Learning and Instruction). Aix-en-Provence, France, August 31 to September 5, 1993. Lonka, K., Lindblom-Ylänne, S. & Maury, S. (1992). The effect of different study strategies on mental representations of text. A poster presented at AERA Annual Meeting, San Francisco, CA, April 20-24, 1992. Lonka, I. & Lonka, K. (1992). Aloittelijasta asiantuntijaksi – aikuisen kirjoittamisprosessi ja sen tukeminen. Esitelmä 19. kielitieteen päivillä 8-9.5.1992, Tampereella. Lonka, K. & Lindblom-Ylänne, S. (1992). Opiskelustrategiat ja tekstistä oppiminen. Sektioesitelmä: Psykologia 92-kongressi, Helsinki, 3.9. 1992. Lonka, K., Lindblom-Ylänne, S. & Maury, S. (1992). The effect of different study strategies on learning from text. A paper presented at EARLI SIG Workconference “Comprehension of Verbal and Pictorial Information” November 2-3, 1992, Nijmegen, The Netherlands. Lonka, K. (1992). Aivot ja älykkyys – mitä voimme päätellä? Yliopisto, 28(40), 23-25. Lindblom-Ylänne, S., Lonka, K. ja Maury, S. (1992). Miten aineistokokeessa menestyminen ennustaa alkuvaiheen opintomenestystä? Vuonna 1988 lääketieteen koulutusohjelmaan hyväksyttyjen opiskelijoiden opintomenestys ja tyytyväisyys opiskeluun. Helsingin yliopiston opintoasiain julkaisuja 4(92). Helsinki: Yliopistopaino. Lonka, K., Joram, E. & Read, D. (1991). The development of scientific problem solving skills in psychology. A proposal accepted at AERA Annual Meeting, Chicago, 1991. (ei voitu esittää rahoituksen puuttuessa). Lonka, K., Joram, E. & Bryson, M. (1991). Conceptions of learning of novices and experts. A poster presented at EARLI Meeting, Turku, August 24-28, 1991. Lonka, K., Joram, E. & Read, D. (1991). The development of expertise in designing psychology experiments. A paper presented at EARLI Meeting, Turku, August 24-28, 1991. Lonka, K., Lindblom-Ylänne, S. & Laakso, P. (1991). The effectiveness of different study strategies in learning from expository text. A poster presented at EARLI Meeting, Turku, August 24-28, 1991. Lonka, K. (1991) Oppiminen ja muistin käyttö yliopisto-opinnoissa. Teoksessa: P. Pakkanen & M. Ranta (toim.) Opiskelutaidon opas uusien opiskelijoiden pienryhmä-ohjaajille (s. 2-18). Helsingin yliopisto. Rehtorinvirasto, opintoasiat. Lonka, K. & Lonka, I. (Eds., 1991). Aktivoiva opetus. Käsikirja aikuisten ja nuorten opettajille. Tampere: Kirjayhtymä. Lonka, K. (1991). Luku 1: Oppimiskäsitys muuttuu – entä koulutus? 7-11. Lonka, K. (1991) Luku 2: Aktivoivan opetuksen pääperiaatteita. 12-27. Lonka, K. ja Lonka, I. (1991). Luku 3: Aktivoivia opetusmenetelmiä ja työtapoja: aakkosellinen hakemisto. 28-45. Lonka, K. (1991). Luku 4: Kirjoittamisprosessi ja sen läpikäyminen. 45- 59. Lonka, K. (1991) Luku 5: Aktivoiva luento tai oppitunti. 60-65. Lonka, K. (1991) Luku 6: Lukemiseen ja tenttimiseen liittyviä näkökohtia. 66-75. Lonka, K. ja Lonka, I. (1991) Luku 11: Aktivoiva opetus tulevaisuuden koulutusmallina. 125-128. Lonka, K. (toim., 1991). Opettamisen ihanuus ja kurjuus. Korkeakouluopettajien ajatuksia kohtaamistaan haasteista. Kurssijulkaisu: “Prosessikirjoittaminen ja aktivoivat työtavat yliopisto-opetuksessa(20.- 21.5.1991)”. Lonka, K. (1991). Asiantuntijan tapa käyttää tietoa. Tietokone opetuksessa – Valikko, 3(91), 10-12. Lindblom-Ylänne, S. & Lonka, K. (1991). Lääketieteen aineistokoe – onnistunut kokeilu. Korkeakoulutieto, 18(4), 12-15. Lindblom-Ylänne, S., Lonka, K. & Perheentupa, J. (1991). Tulevaisuuden toimenkuvia mahdoton ennustaa. Helsingin sanomat. Mielipidesivu 8.9.1991. Lonka, K. & Ahola, K. (1990). Opetuskokeilu Helsingin yliopiston psykologian laitoksella ja sen vaikutus opintojen kulkuun. Teoksessa H. Jalkanen & R. Mäkinen (toim. ), Korkeakouluopintojen kulku ja opintoilmapiirit. Kasvatustieteiden tutkimuslaitoksen julkaisusarja B. Teoriaa ja käytäntöä 59 (pp. 47-66). Jyväskylä: Jyväskylän yliopisto. Lonka, K. (1990). Kognitiivista psykologiaa eilen ja tänään. Professori Fergus I.M. Craikin haastattelu. Psykologia, 25(1), 71-76. Ahola, K., Lonka, K., Pihlman, M. & Jaakola, M. (1990). Valintakokeet 1988 ja ensimmäinen opintovuosi. Historiallis-kielitieteellisen osaston viisi oppiainetta. Helsingin yliopiston opintoasiaintoimiston julkaisuja. 42. Lindblom-Ylänne, S., Lonka, K. & Perheentupa, J. (1990). Lääkäreiksi halutaan eri tavoin lahjakkaita. Helsingin Sanomien yläkerta-artikkeli 5.6. 1990. Himma, K. & Lonka, K. (1990). Kanada opettelee elämään monikulttuurisessa yhteiskunnassa. Helsingin Sanomat. Ulkomaan sivut C1 10.3. 1990. Lonka, K., Joram, E., & Bryson, M. (1990). Student’s changing conceptions of knowledge and learning. A poster presented at AERA Annual Meeting, April 16-20 1990, Boston, MA. Lonka, K. & Ahola, K. (1990) Opetuskokeilu Helsingin yliopiston psykologian laitoksella ja sen vaikutus opintojen kulkuun. Esitelmä Korkeakoulutuksen Tutkimuksen IV Symposiumissa, 30.-31.8.1990, Jyväskylä. Lonka, K. (1989). Kanadalaista psykologiaa- sarjassa. Psykologian professoria syytetään rasismista. Psykologia, 24(4), 290-292. Lonka, K., Ahola, K. & Kuivasniemi, E. (1988). Opetuskokeilu Helsingin yliopiston psykologian laitoksella. Osaraportti I: Menetelmät ja niiden toimivuus. Raporttisarja n:o A 41. Helsingin yliopisto, Psykologian laitos. Lonka, K. & Mikkonen, J. (1988). Opetuskokeilun seurantatutkimus Helsingin yliopiston psykologian laitoksella: alustava kartoitus. Teoksessa A. Nuutinen & A. Sarja (toim. ), Oppiminen ja opetuksen kehittäminen korkeakouluissa. Kasvatustieteiden tutkimuslaitoksen julkaisusarja B. Teoriaa ja käytäntöä 32 (s. 19-31). Jyväskylä: Jyväskylän yliopisto. Lonka, K. (1988). Psykologian historian symposiumi. Psykologia, 23(3), 197-200. Lonka, K. (1988). Psykologian pääsykokeet 1987. Psykologia, 23(3), 42-44. Lonka, K. (1987). Kognitiiviset prosessit II. Avoimen korkeakoulun opetusmoniste. Lonka, I. & Lonka, K. (1987). Kirjoittaminen -ajattelun vallankumousta. Virke (ÄOL:n jäsenlehti), 39 – 46. Lonka, K. (1987). Psykologian valintakokeet 1986 -testien toimivuus. Helsingin yliopiston opintoasiaintoimiston julkaisuja 26. Lonka, K. (1987). Kirjoittamalla oppii – mutta miksi? Psykologia, 22(4), 277-281. Lonka, K. (1987). Psykologian pääsykokeet 1986. Psykologia, 22(4), 282-285. Mikkonen, V. & Lonka, K. (1985). Muistin käyttö ylioppilasaineissa. Kasvatus 16(4), 261-273. Lonka, K. (1988). Miksi reaalivastauksen pituus on yhteydessä arvosanaan? Sektioesitelmä: Psykologia-kongressi 13.1. 1988.